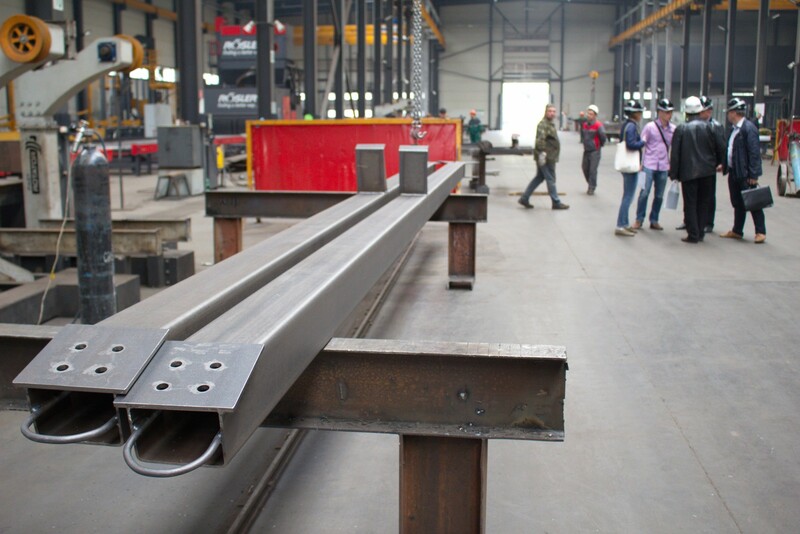 A new type of track structure is being prepared for testing at EcoTechnoPark. 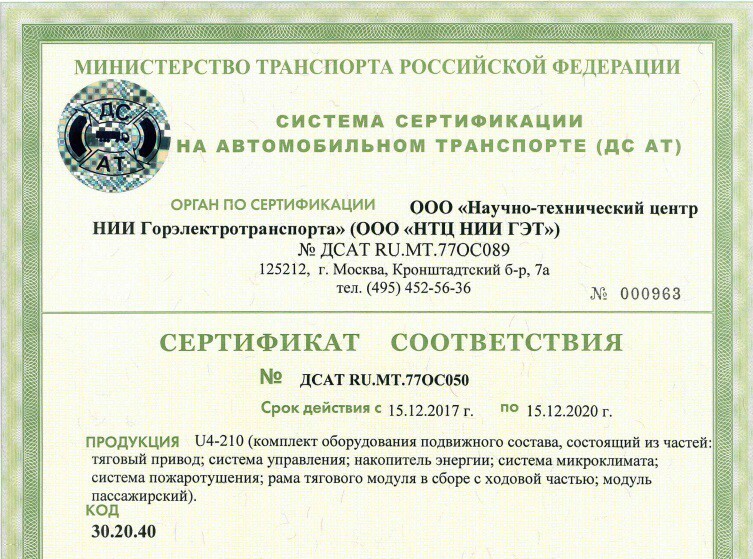 LLC “Scientific-technical center of Scientific Research Institute Gorelectrotransport” has issued Certificates for unibus model U4-210 and unibike model U4-621. 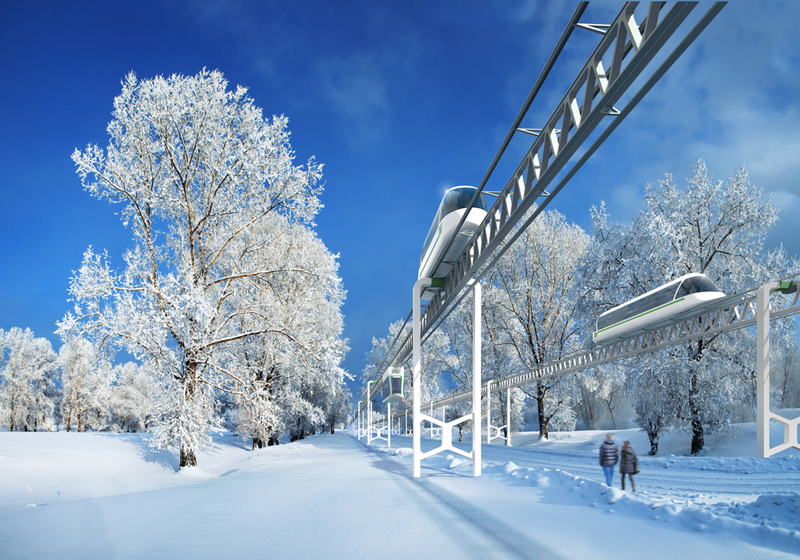 Preparation for certification of rolling stock is in progress at the center for practical implementation of SkyWay innovations ― EcoTechnoPark. 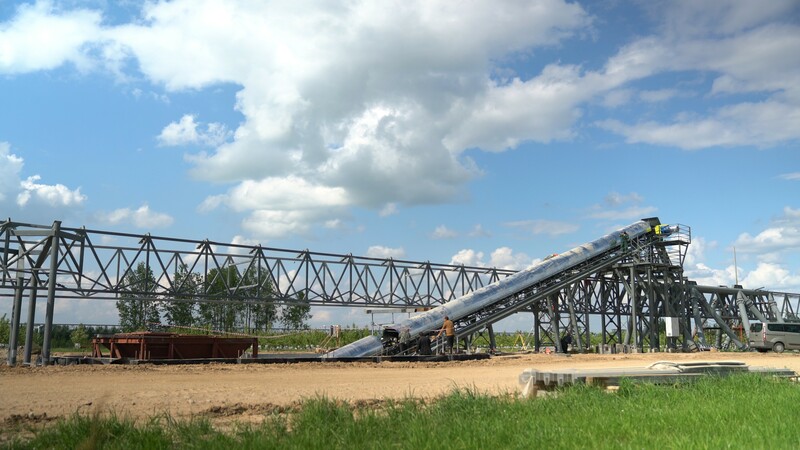 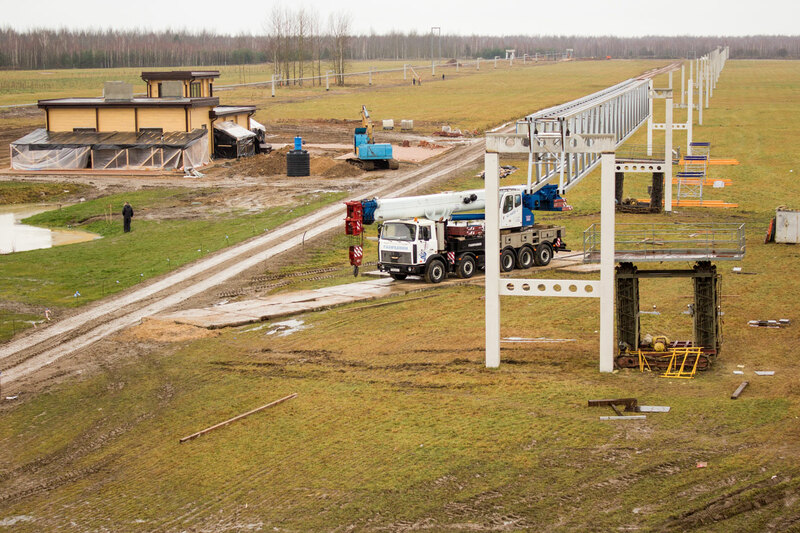 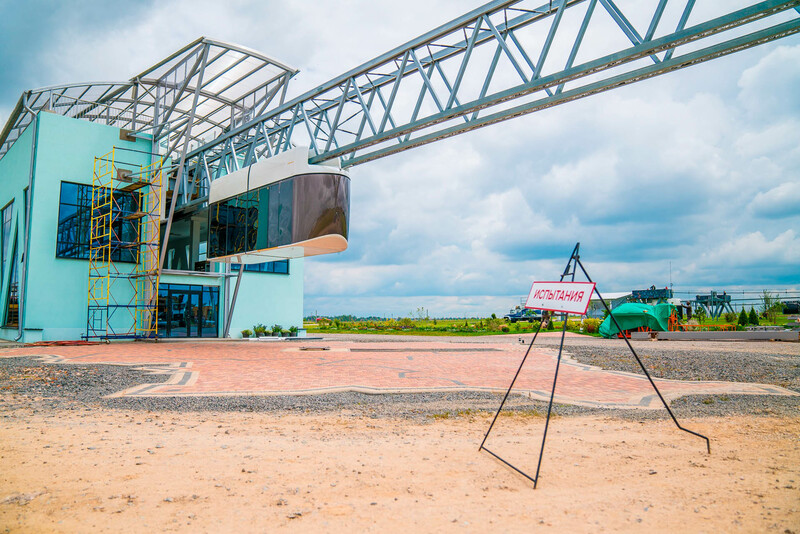 Performance trials with the SkyWay freight transport system have started at the lightweight track structure in EcoTechnoPark. 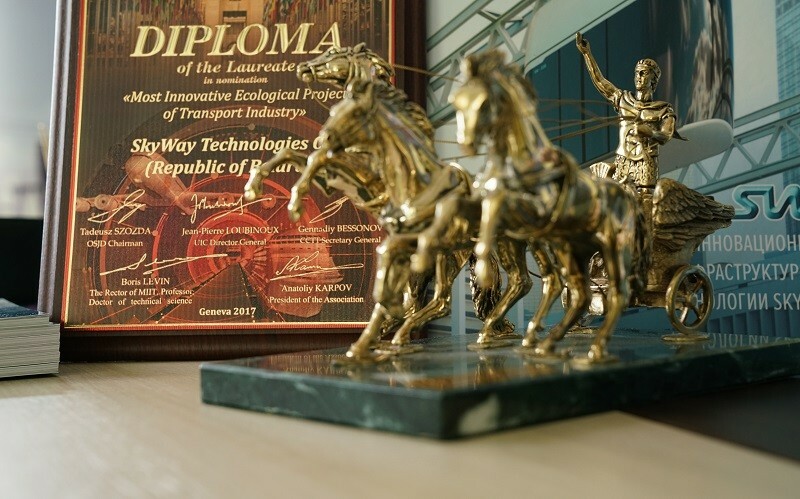 Only two “big” chariots were presented this year, the second one was received by the President of the Czech Republic. 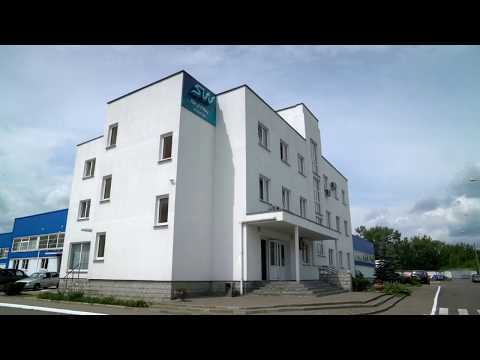 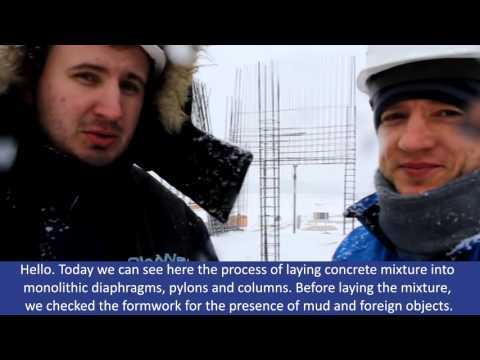 Reports about the event were shown on TV channels “Belarus-4” and STV. 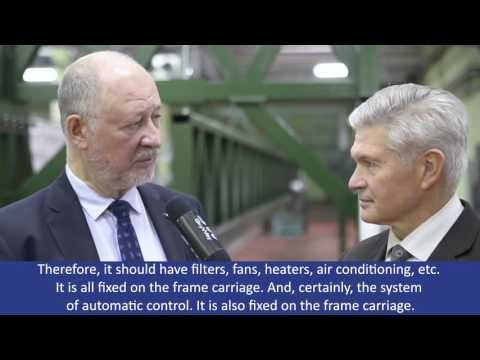 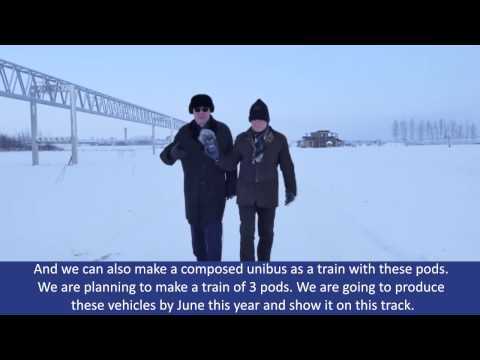 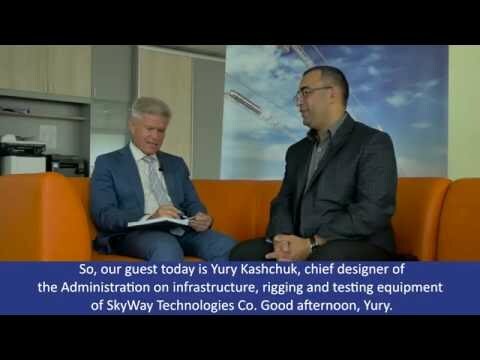 Interview on work progress with Chief engineer of SkyWay Technologies Co.
Running tests of rolling stock in SkyWay EcoTechnoPark. 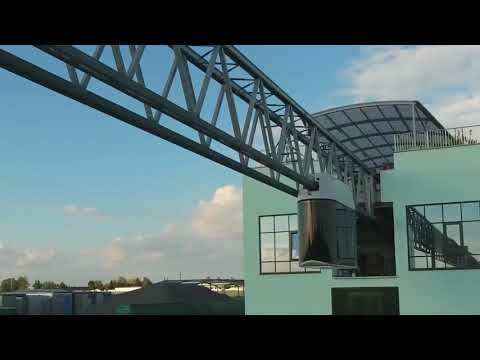 Maximum acceleration on 500-meter track section. 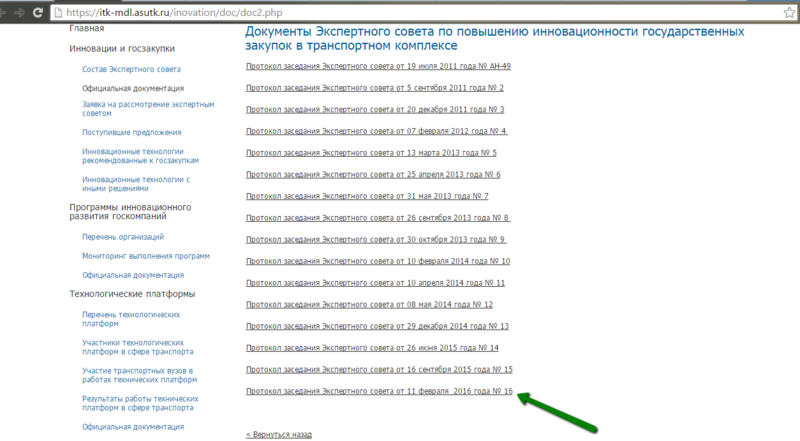 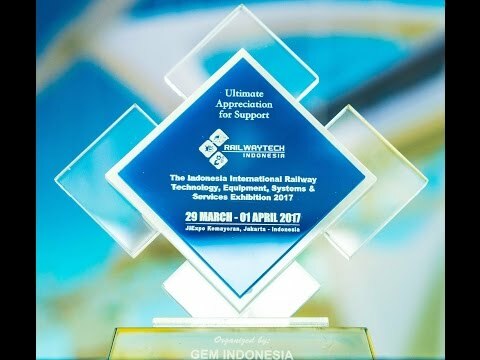 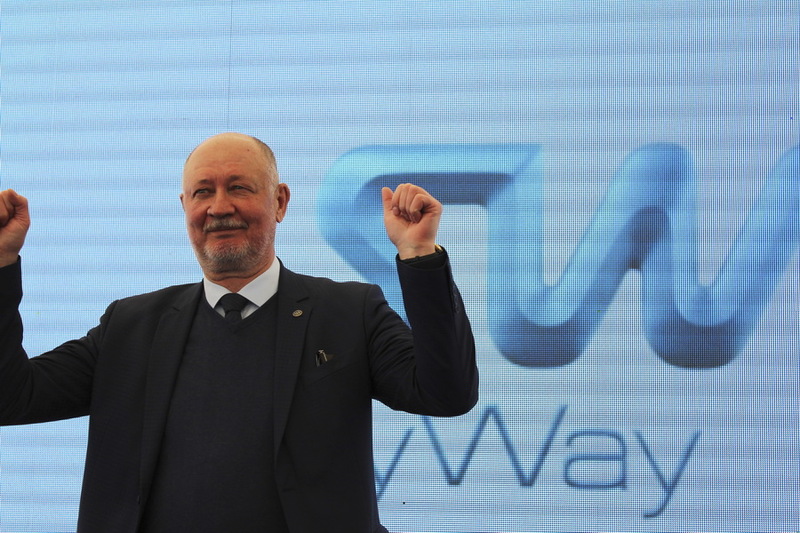 According to the results of certification, SkyWay Technologies Co. is included in the registry “Innovation of the year”. 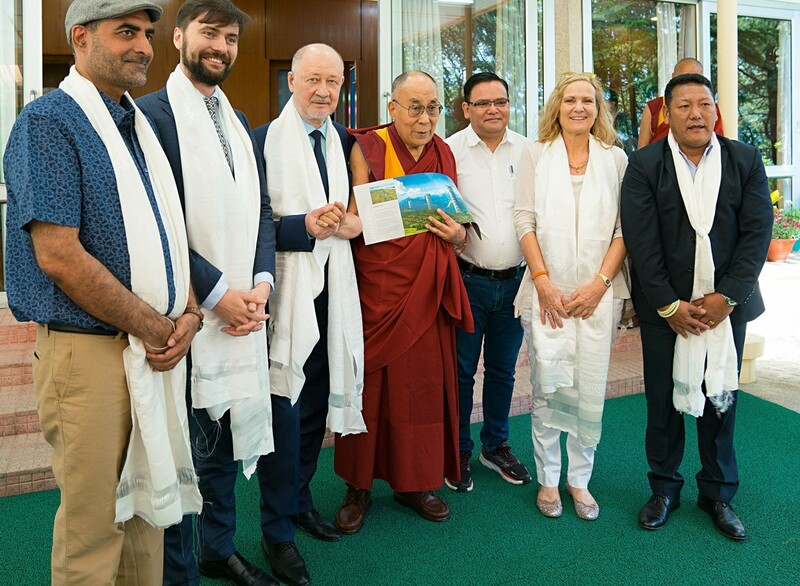 Dalai Lama’s Meeting with Anatoly Yunitskiy ― Coincidence or Consistent Pattern? 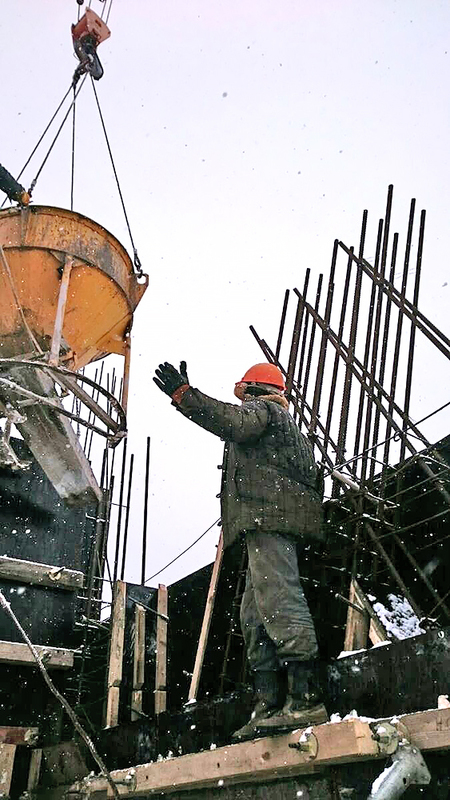 His Holiness wished Anatoly Yunitskiy success in implementing his plans and approved of the forthcoming construction. 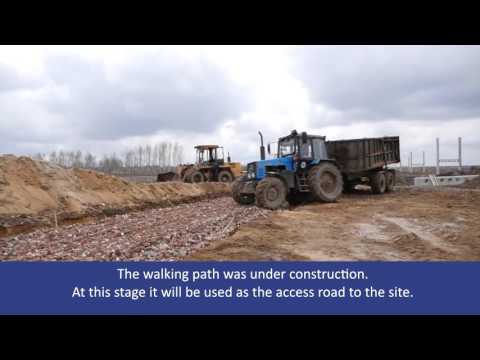 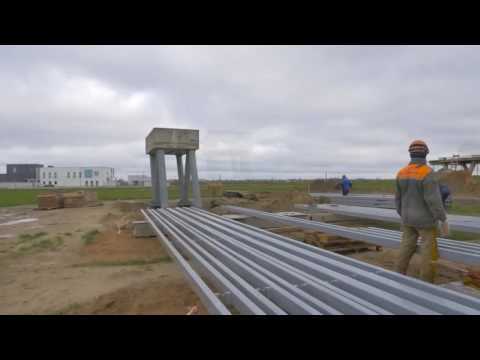 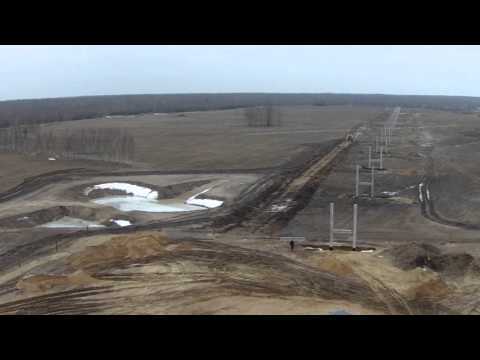 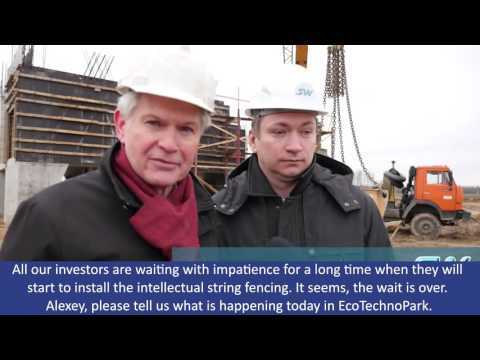 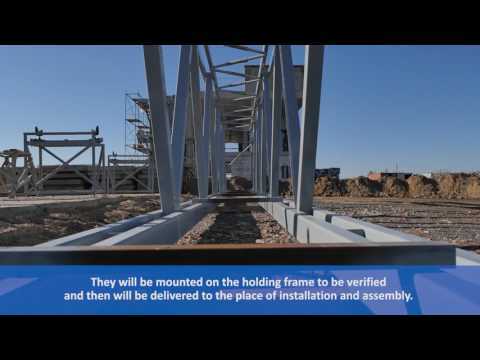 Photo report from the construction of freight track in EcoTechnoPark. 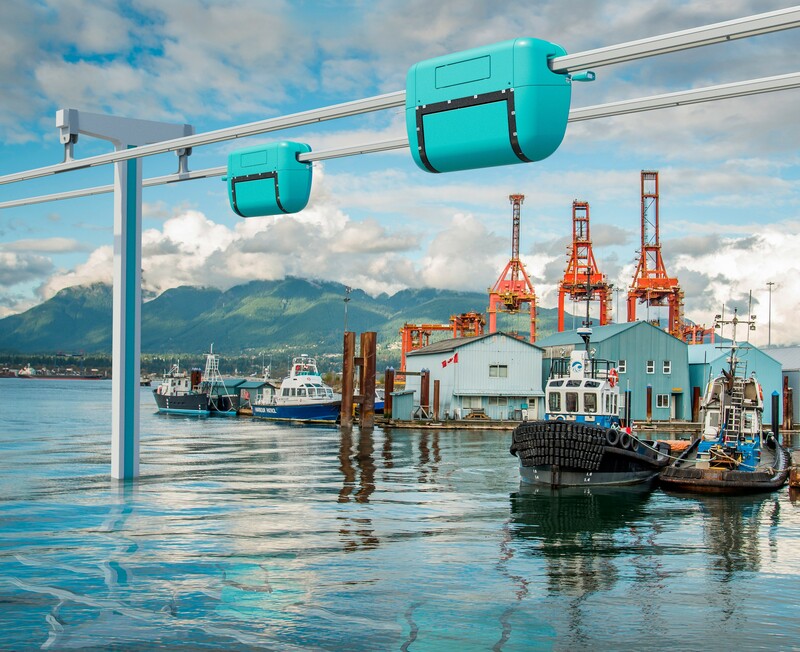 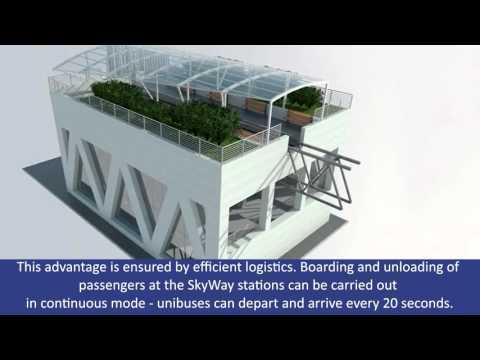 Skyway Technologies Co. received an order for project designing an urban route. 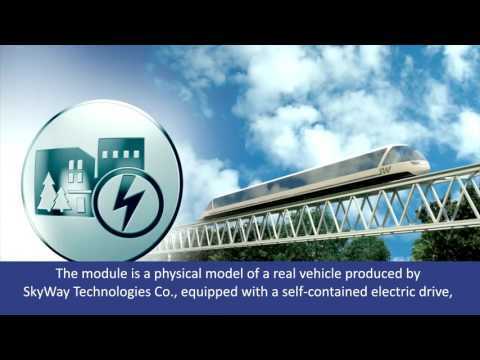 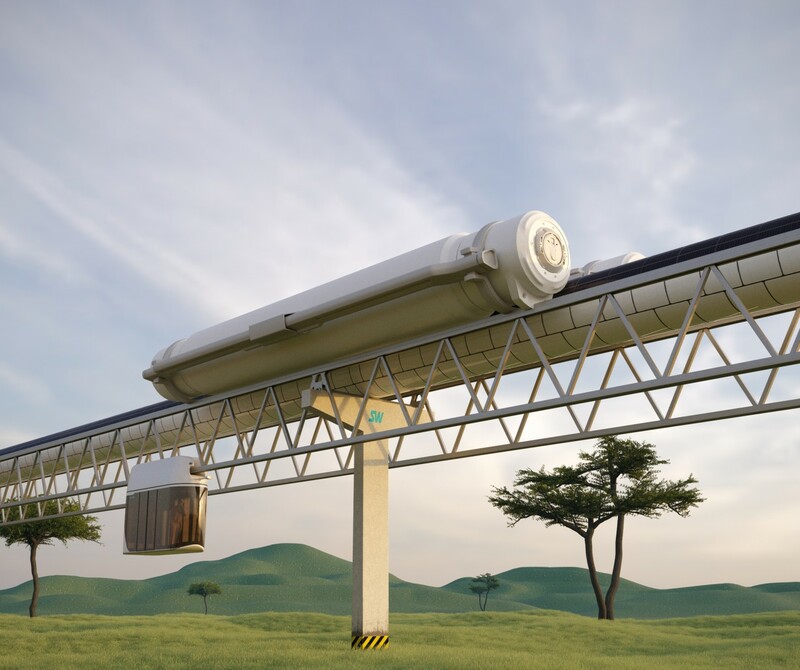 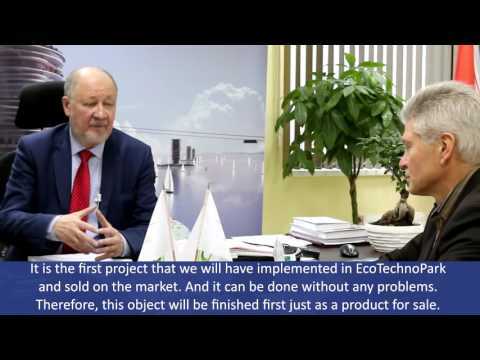 Interview with General Designer of project designing SkyWay Technologies Co. Anatoly Yunitskiy. 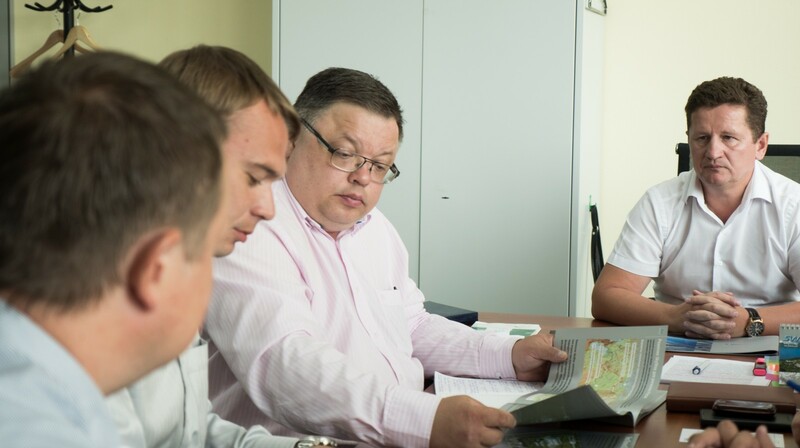 Decision on allocating another plot of land to SkyWay Technologies Co. to build 16 km route has been taken. 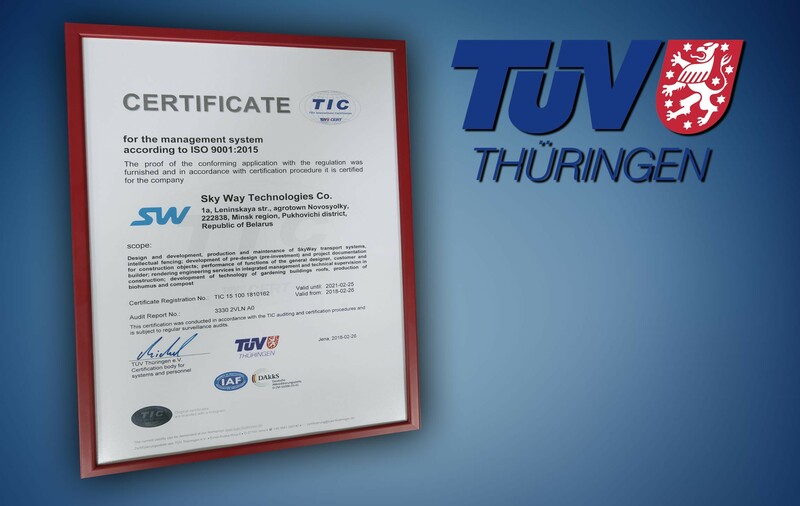 SkyWay received a special diploma of the award, which is conferred since 2014 for the work on the reputation of the employer. 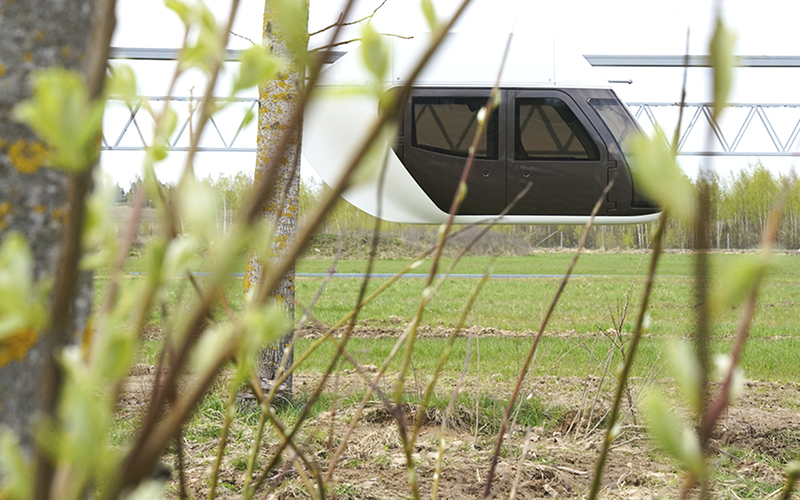 Start of running tests at EcoTechnoPark ― a photo report on the event and a promotional video related to it. 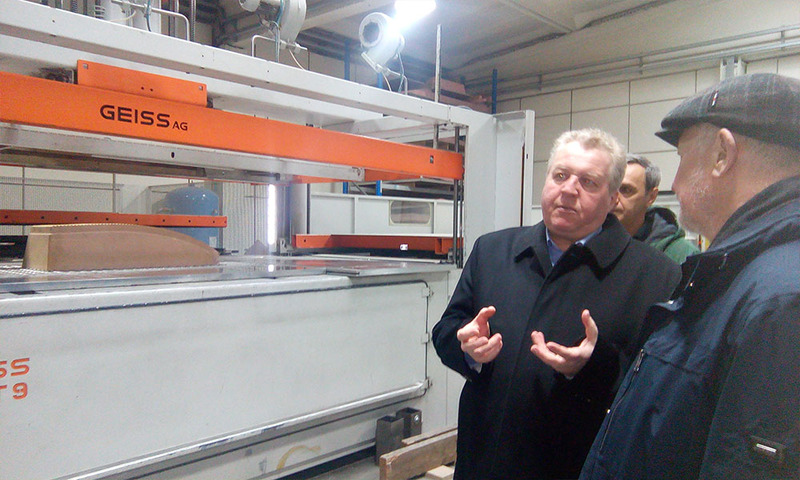 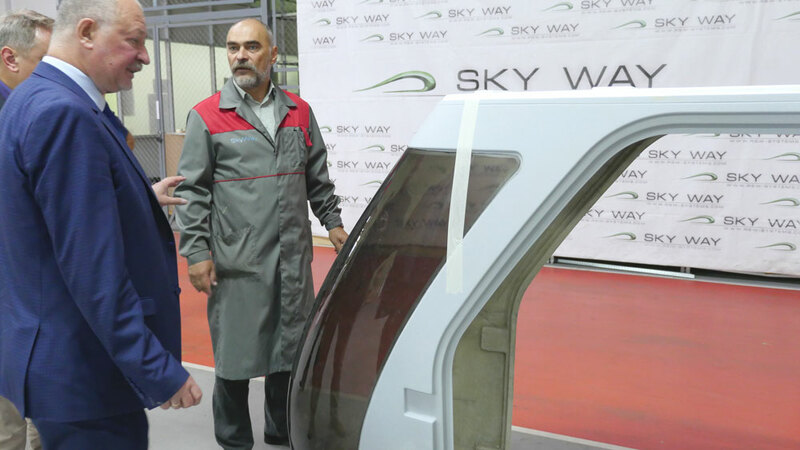 The other day professionals of SkyWay Technologies Co. visited the company "Protos", which deals with manufacture of steel structures for the SkyWay track structure. 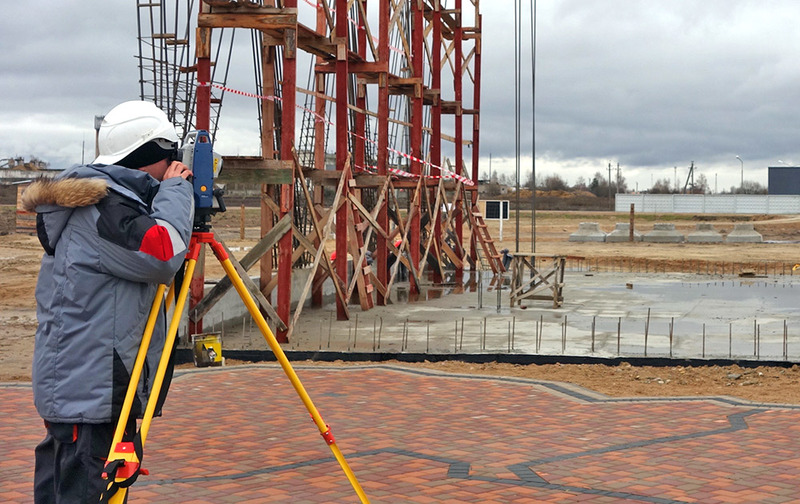 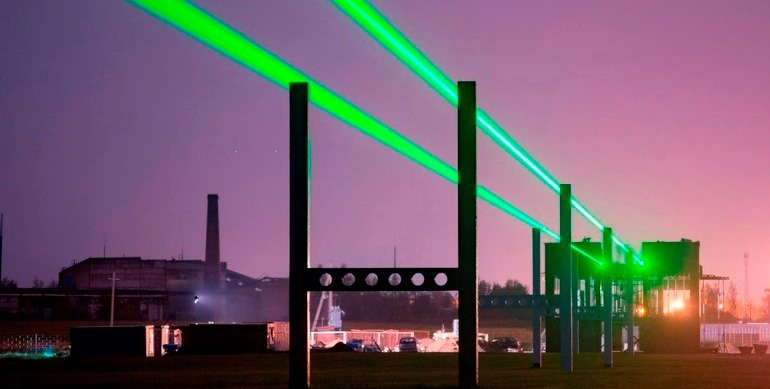 A series of photos on measurement of installation quality of supports at the urban track with laser-measuring instruments. 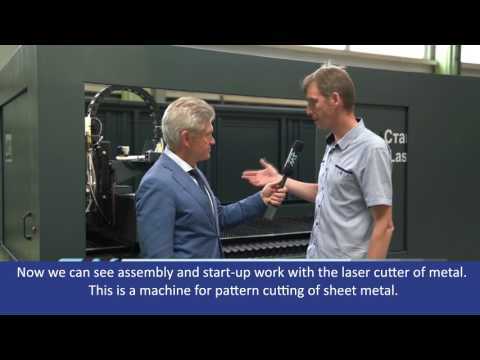 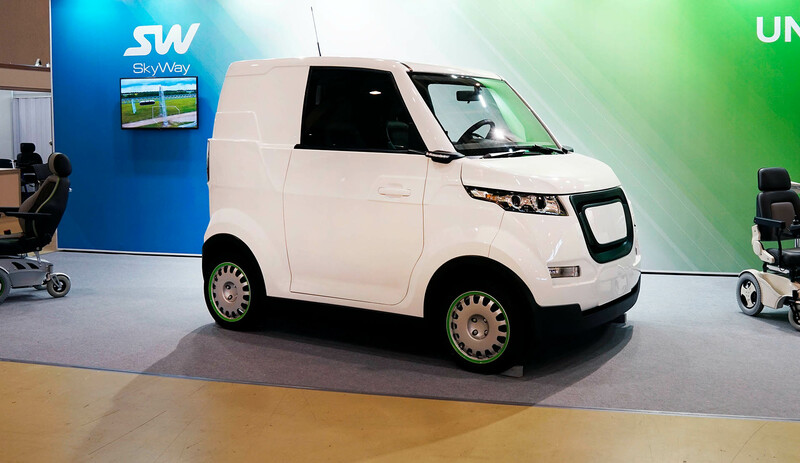 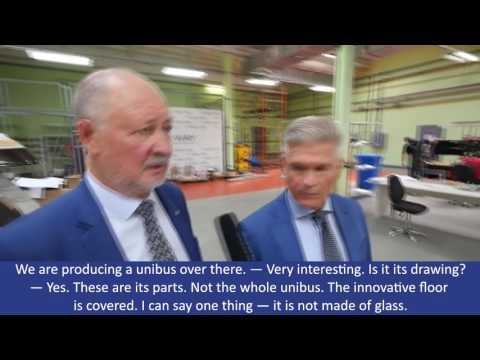 Anatoly Yunitskiy demonstrated and commented on the process of assembling a unibike and a unibus at the experimental production facility. 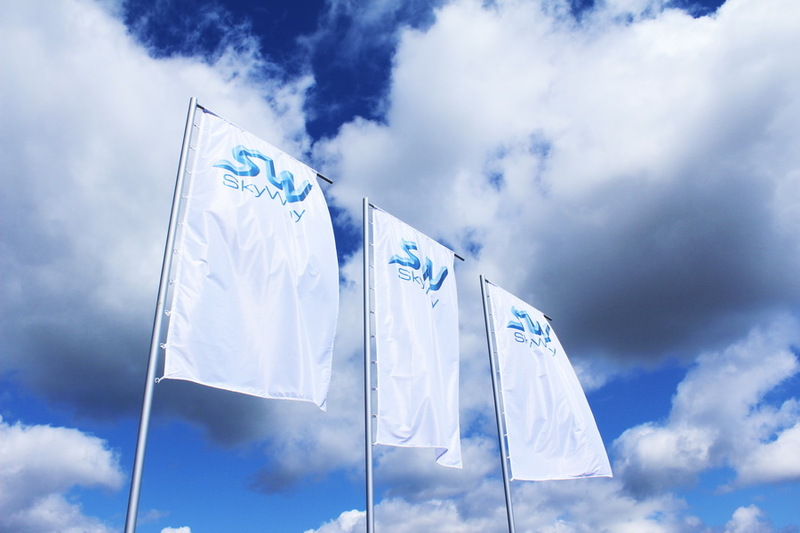 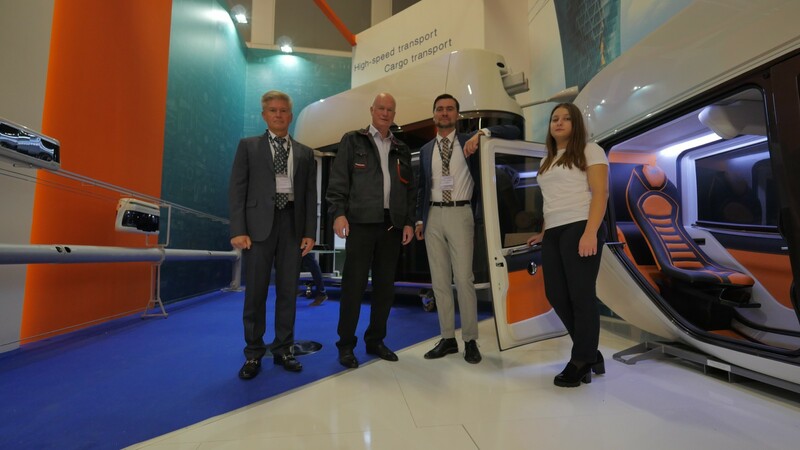 A meeting of our management with representatives of the Russian branch of the Swedish Company SSAB was held in the central office of SkyWay Technologies Co.
We started the process of building a section of the route, which will further demonstrate the full operating range of the SkyWay freight system. 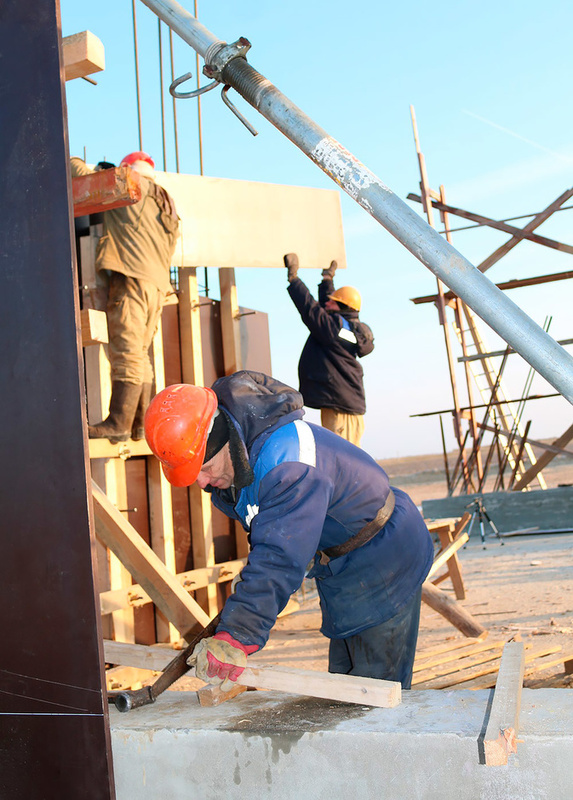 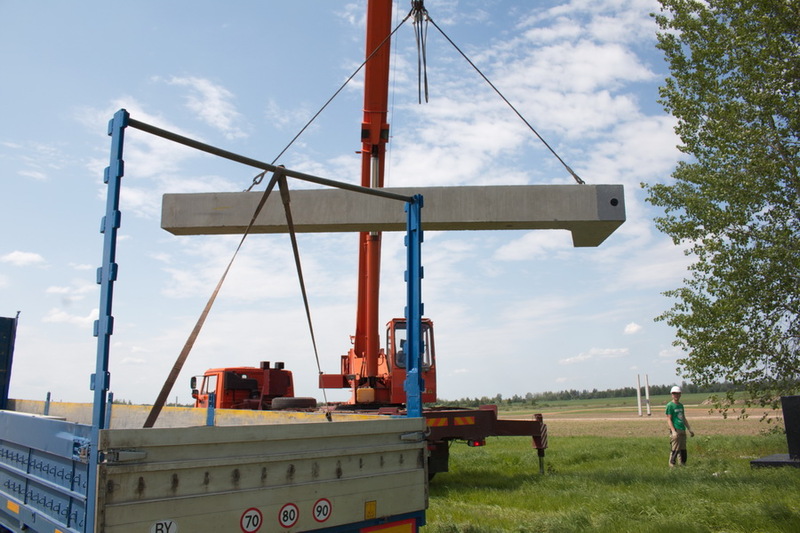 The Contractor started the process of building the SkyWay freight overpass. 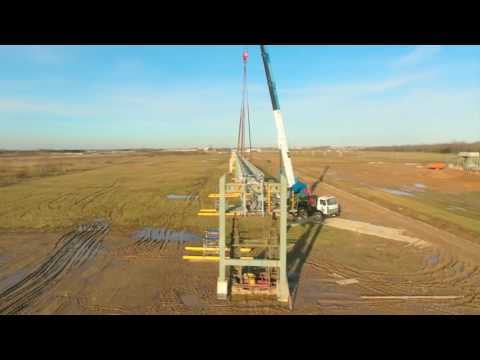 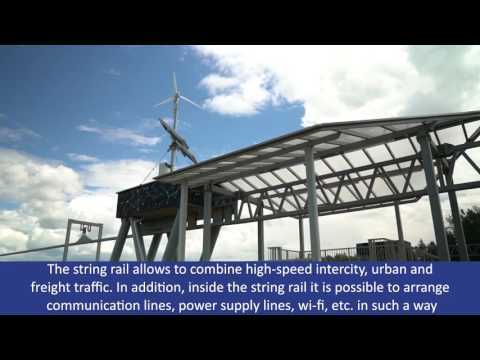 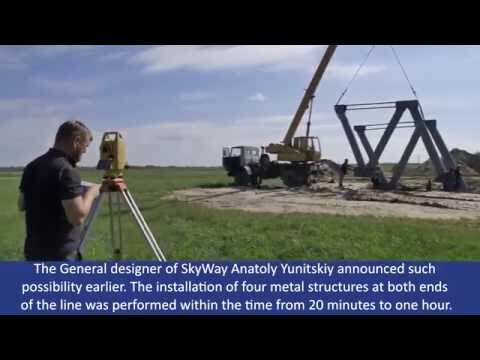 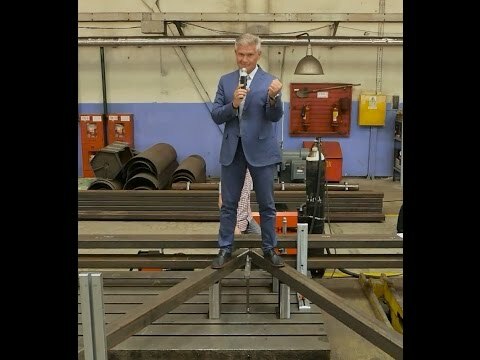 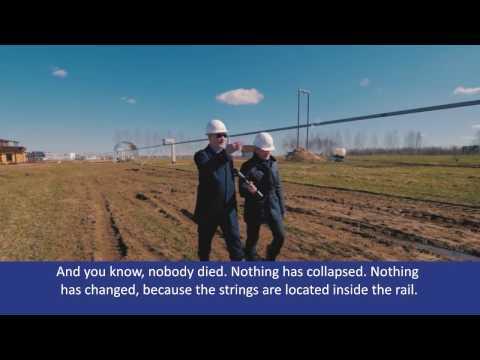 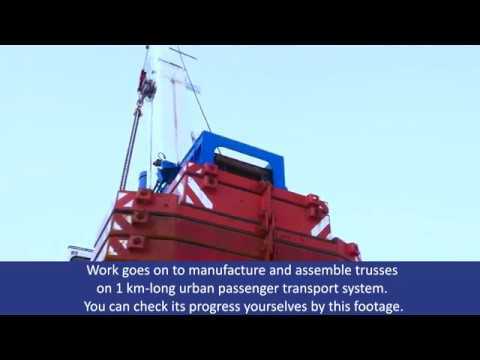 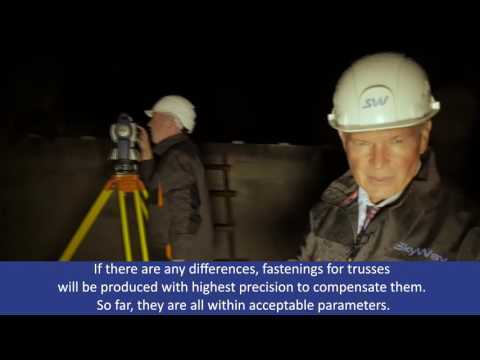 The information service prepared a unique footage of tests on truss-string elements of the SkyWay overpass for acoustics and vibration with the aim to prove the advantages of structures filled with special SkyWay concrete over hollow structures. 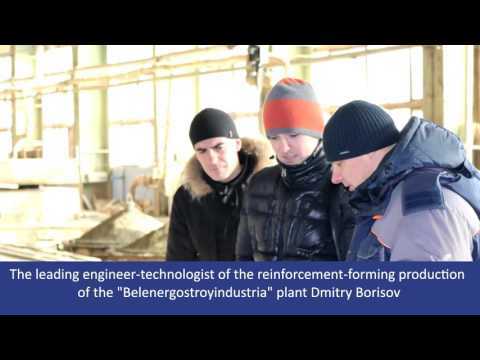 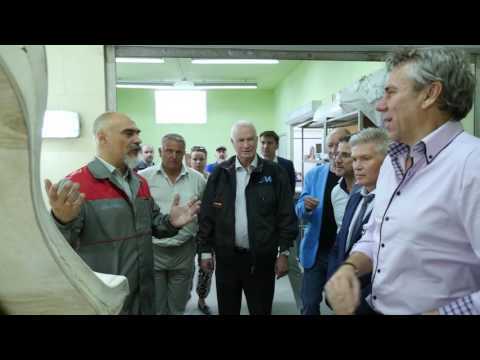 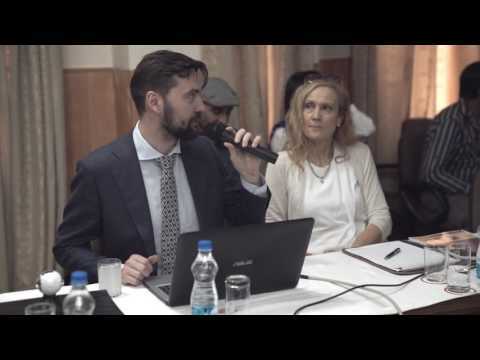 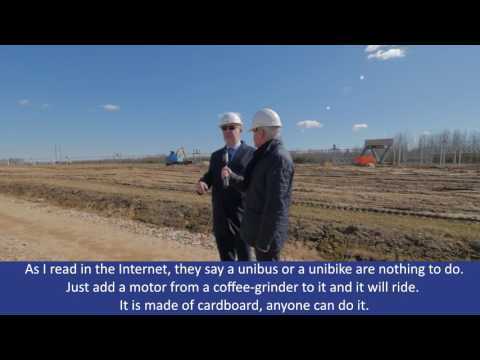 Video report highlights the visit of the Australian delegation to EcoTechnoPark and to the restricted workshops of the experimental production facility "Unibus". 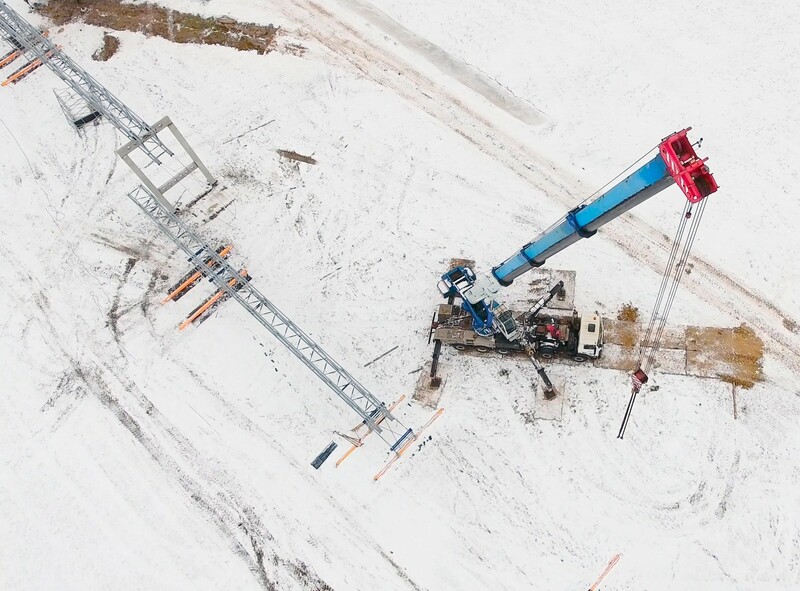 The process of building the second anchor support of the SkyWay urban and high-speed route is nearing completion. 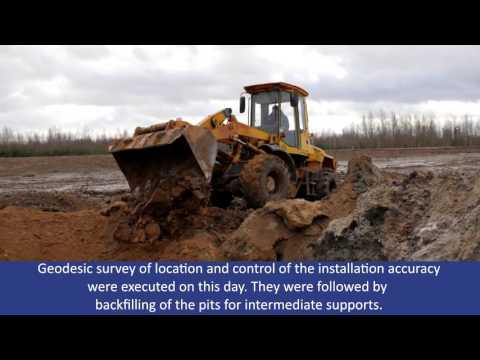 Carrying out earthwork operations for intermediate supports of the lightweight transport line and further concrete bedding of foundation pits. 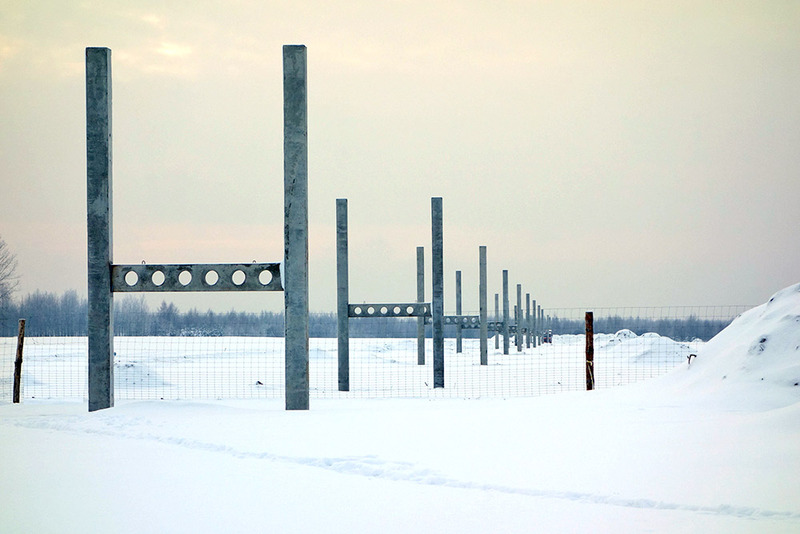 At the high-speed and urban lines, there has been finished form setting for walls of the second anchor support. 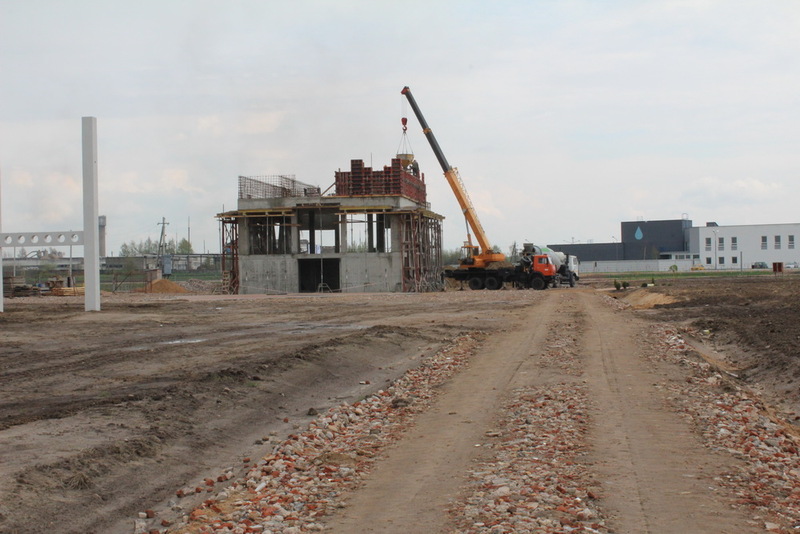 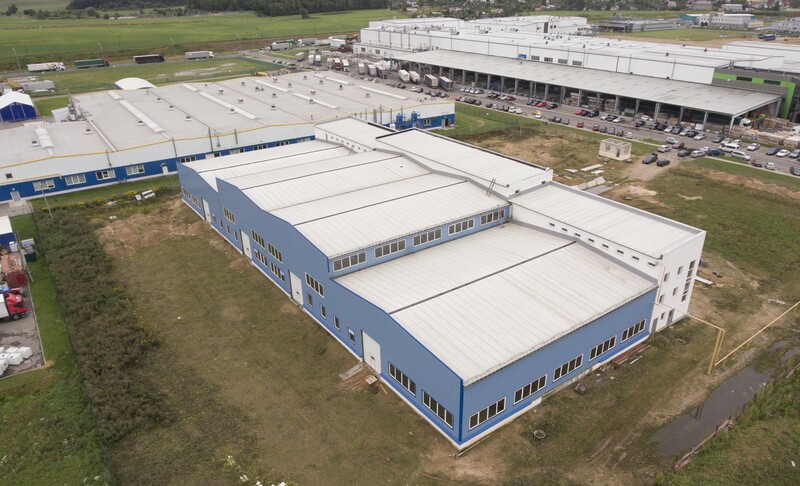 We present a new photo report from EcoTechnoPark, where the contractors actively continue the construction of the lightweight track for unibikes in parallel with other important processes. 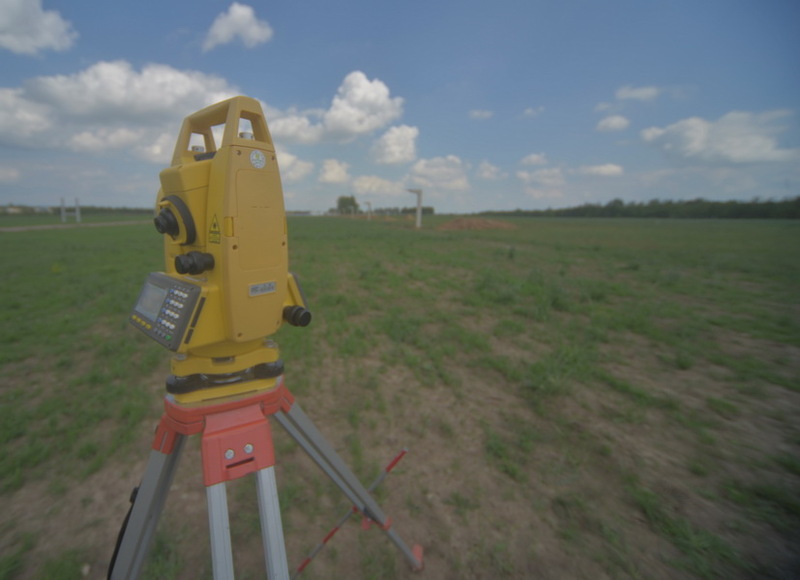 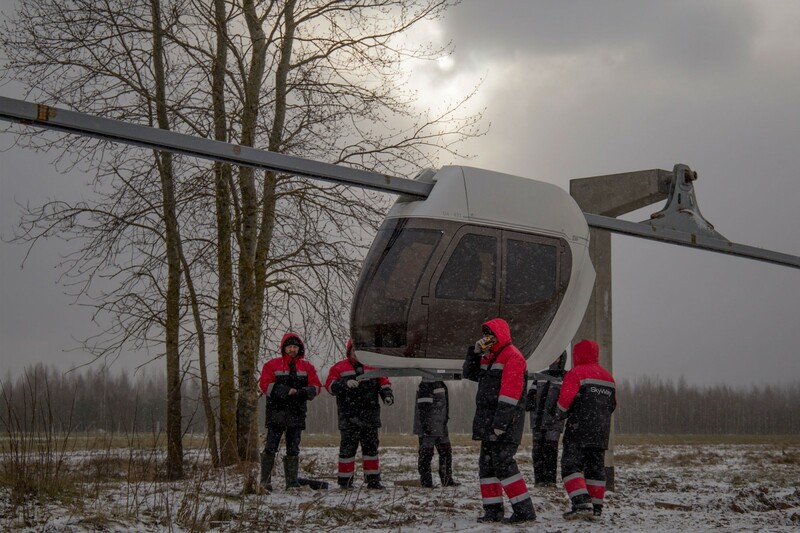 We publish a photo report from the SkyWay demonstration center. 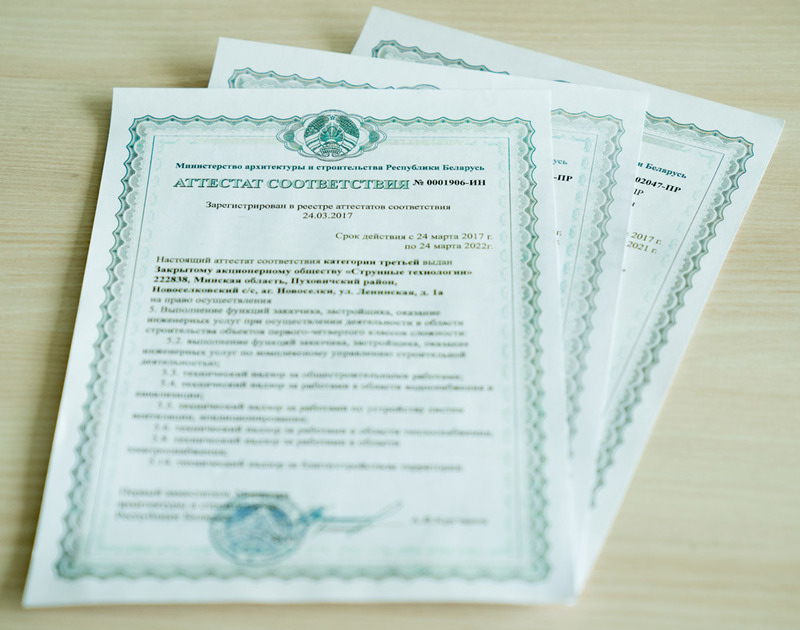 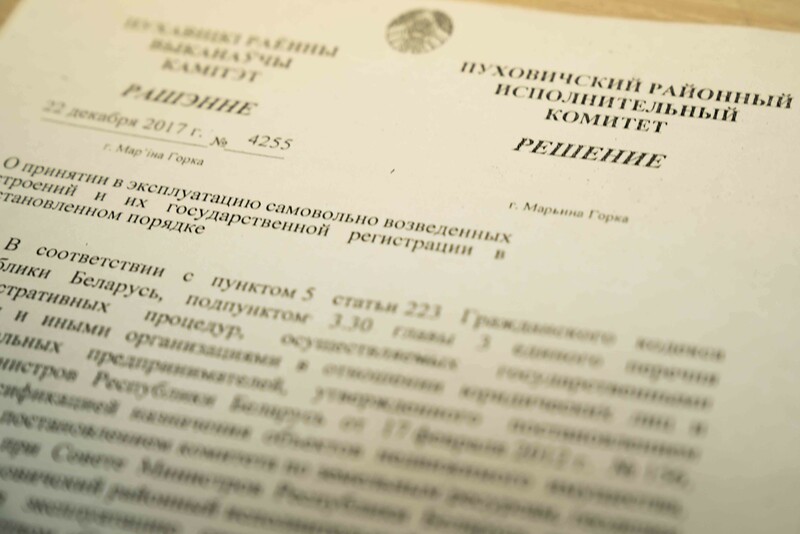 SkyWay Technologies Co. has received a special permit for the right to carry out activities in the field of industrial safety. 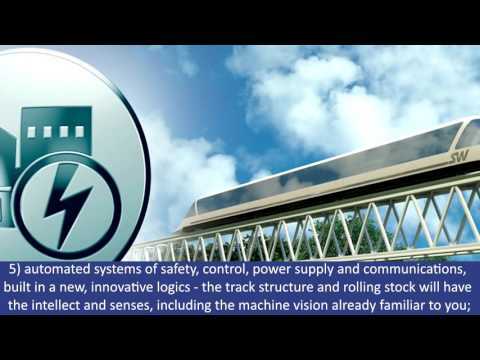 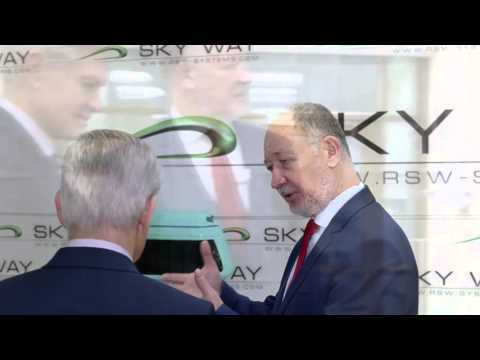 Who is responsible for SkyWay safety? 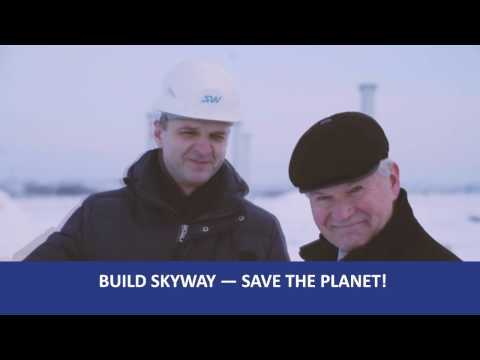 Interview with the person responsible for SkyWay safety. 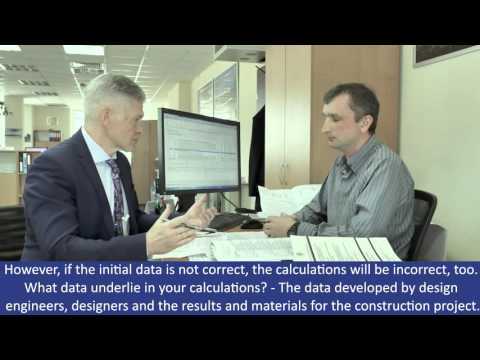 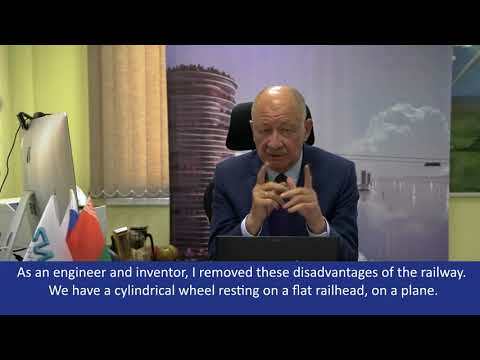 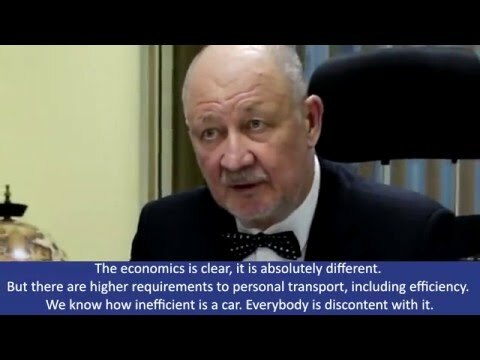 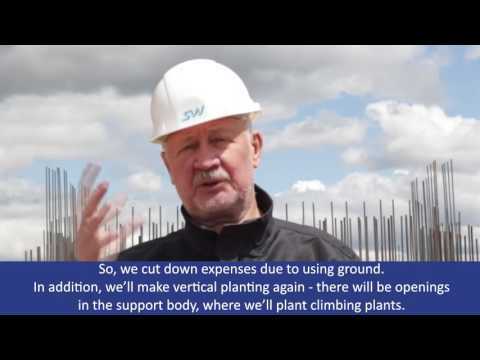 Chief expert Anton Romanyuk explains the methods of calculating construction cost estimates at SkyWay. 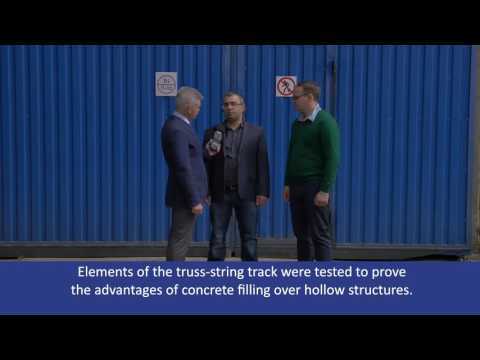 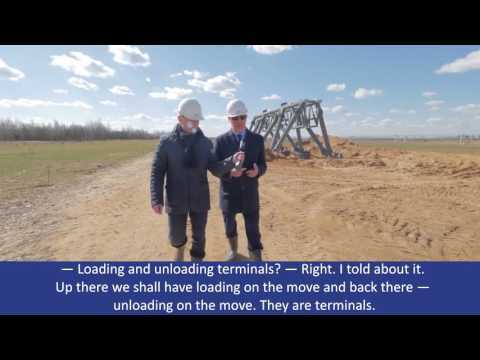 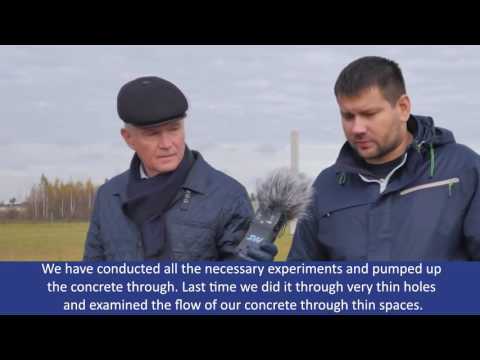 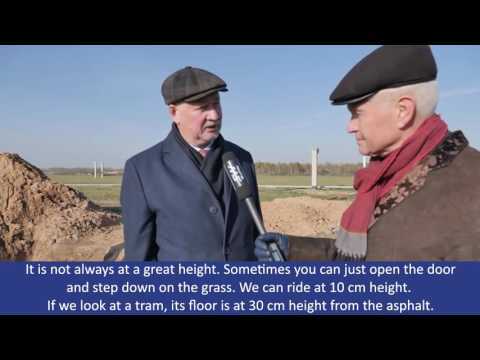 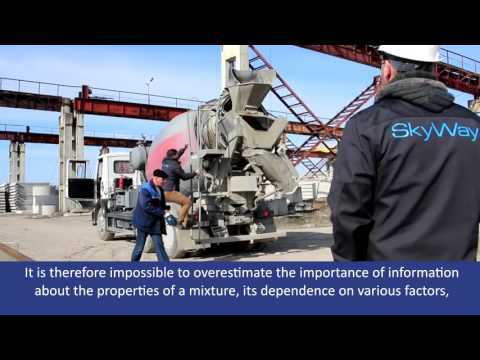 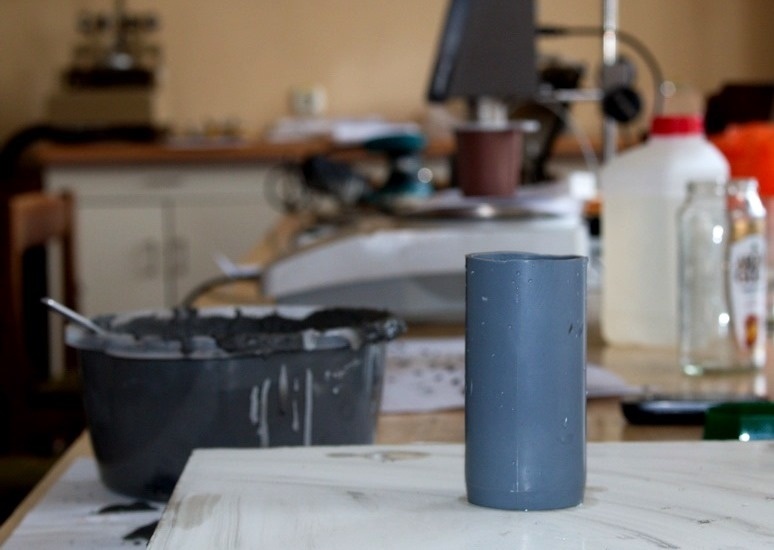 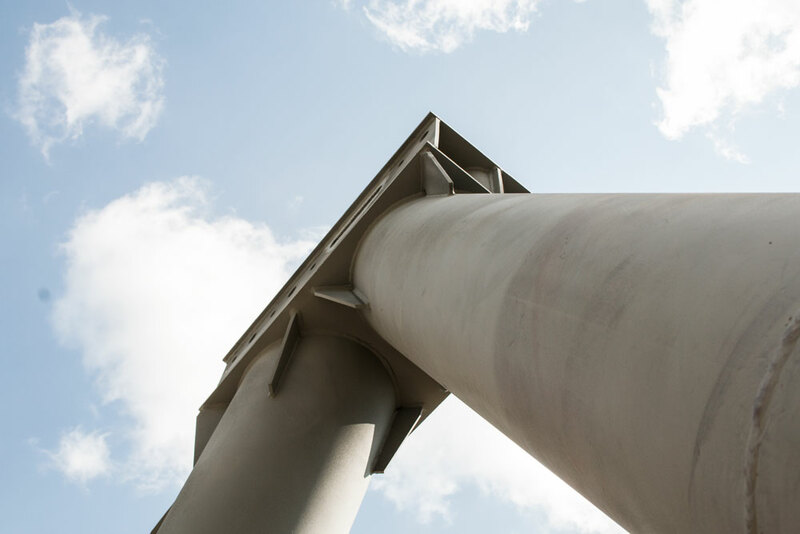 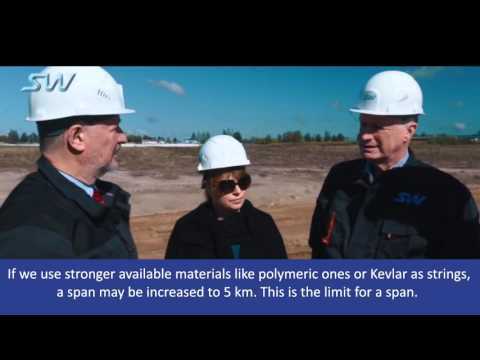 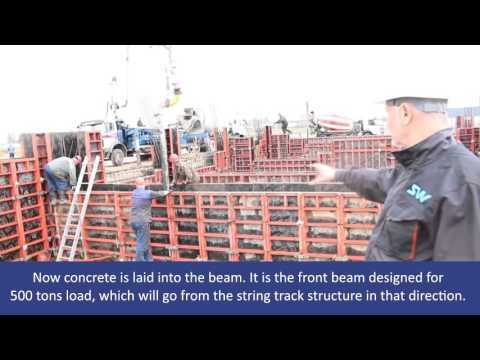 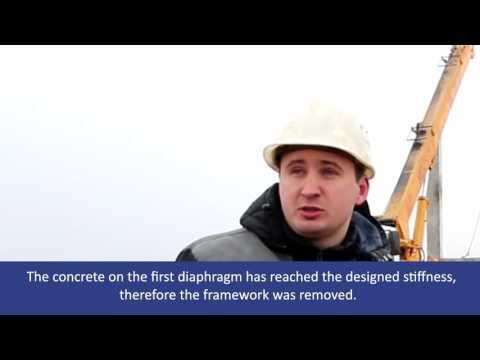 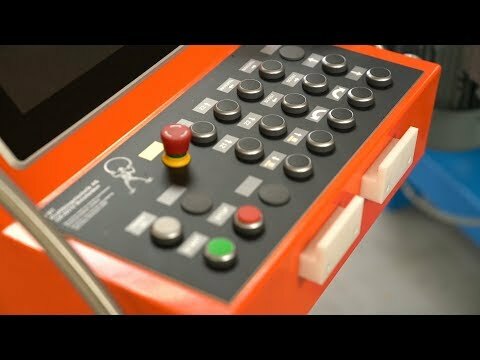 Production engineer Victor Dolgiy explains the specific features and some secrets of special fluid concrete from SkyWay in an interview. 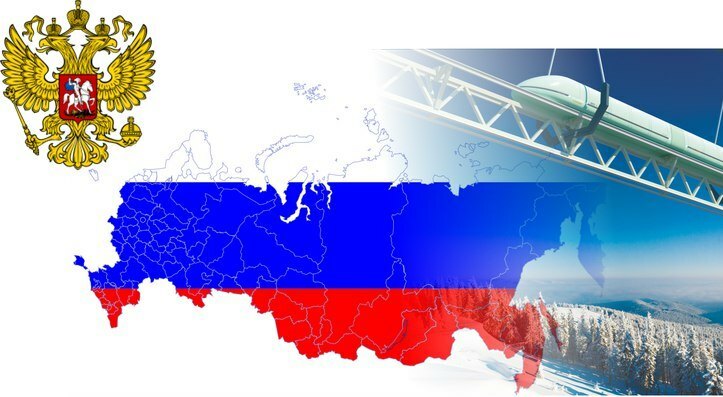 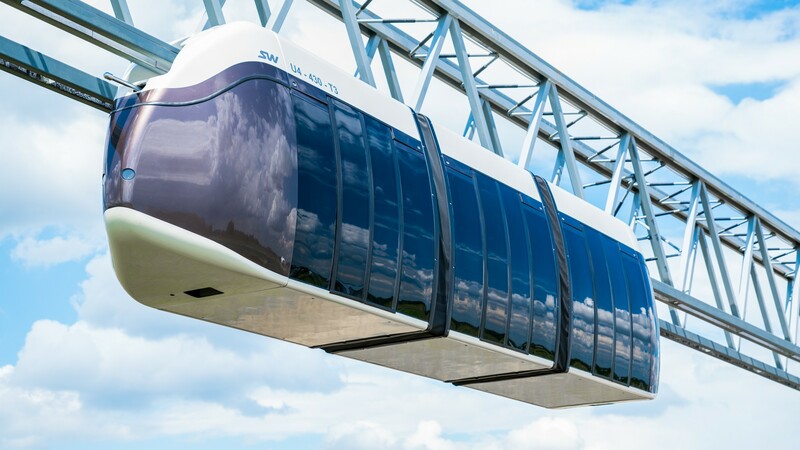 The Expert Council under the Ministry of transport of the Russian Federation acknowledged SkyWay string technology as innovative. 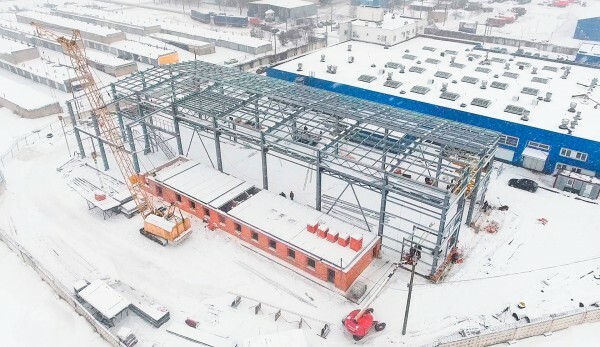 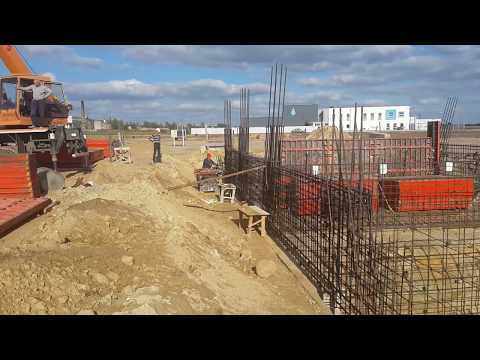 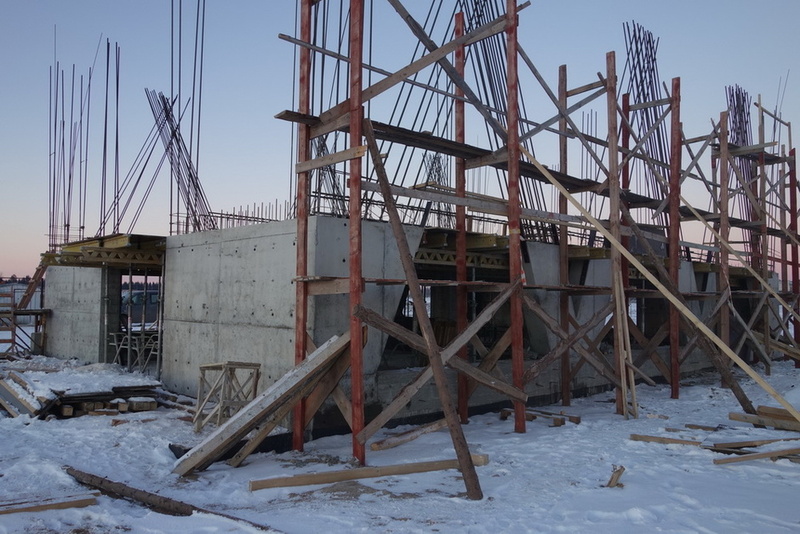 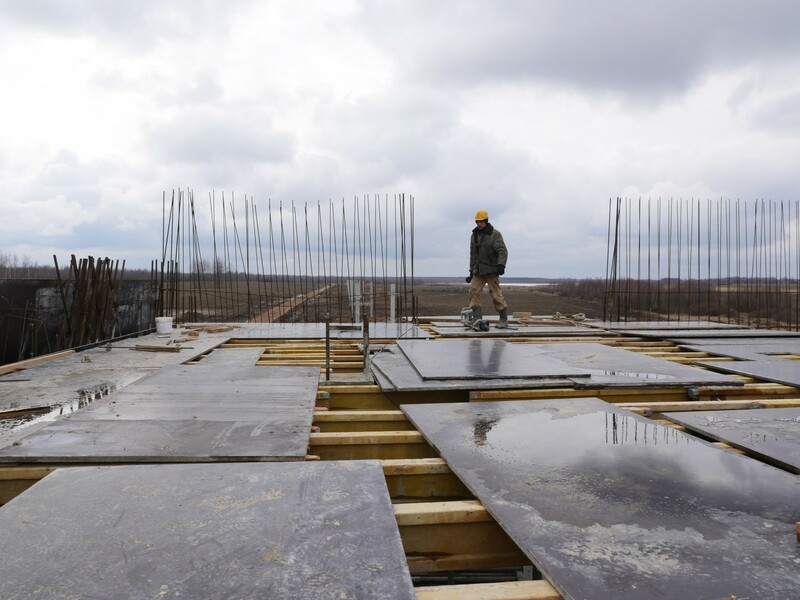 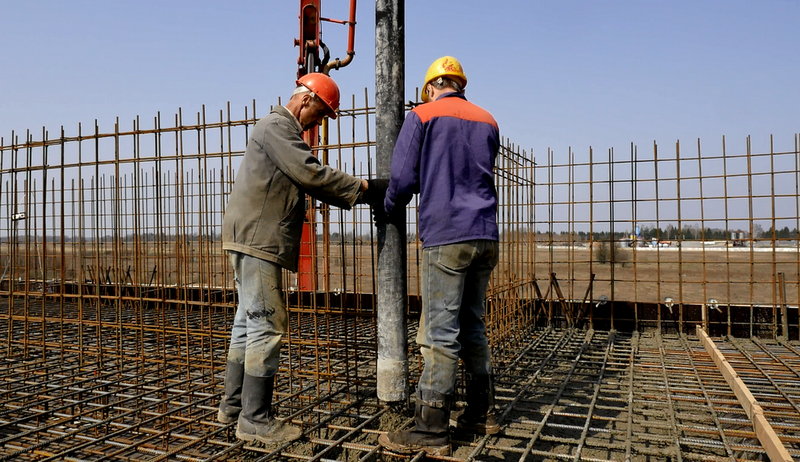 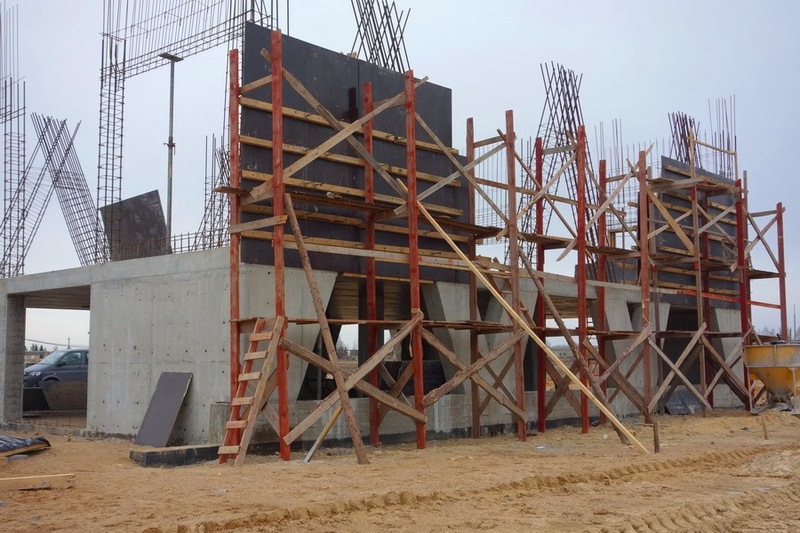 On January 27 at the territory of EcoTechnoPark, concrete was poured into the formwork of the 1st level floor panel of the transport-logistics hub, combined with the terminal anchor support. 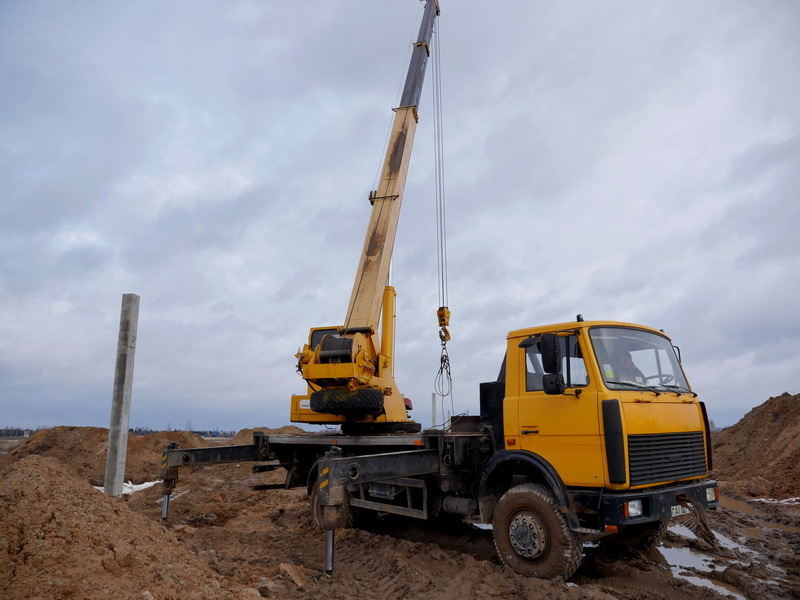 Nine concrete mixer trucks arrived to the site on that day. 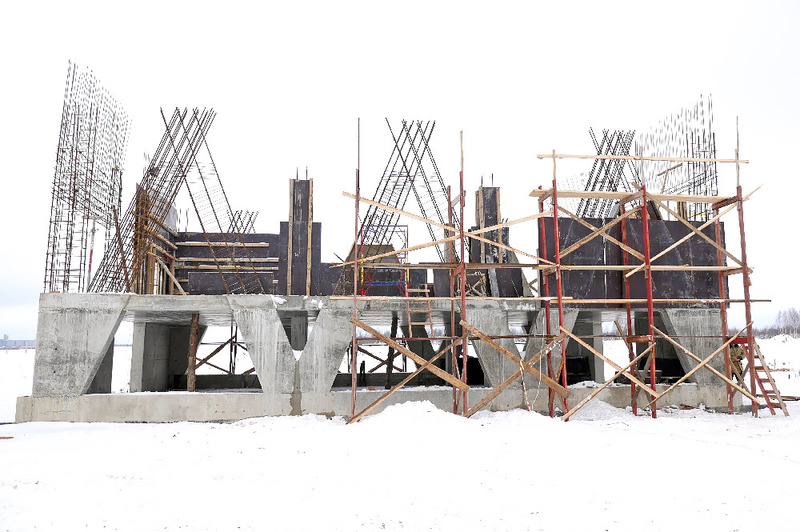 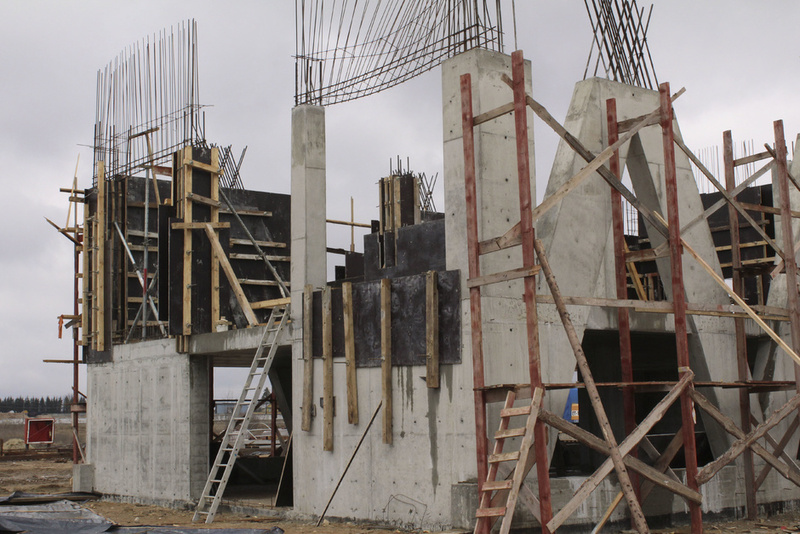 The process of formwork assembling for pylons and stiffness diaphragm on the ground floor of SkyWay transport and logistics unit, combined with anchor support. 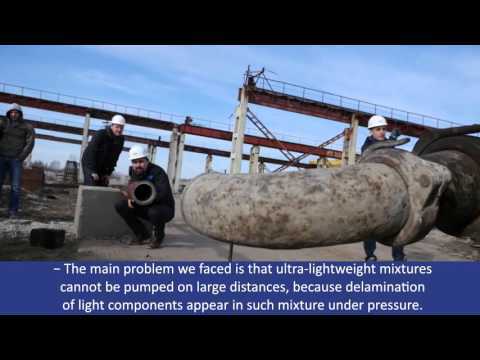 Examination of column structures for intermediate supports and column reinforcing cages for compliance with the design documentation. 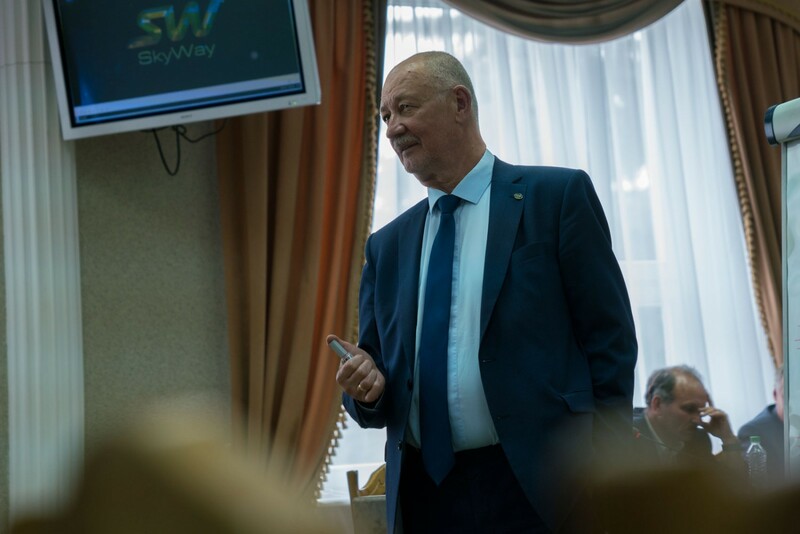 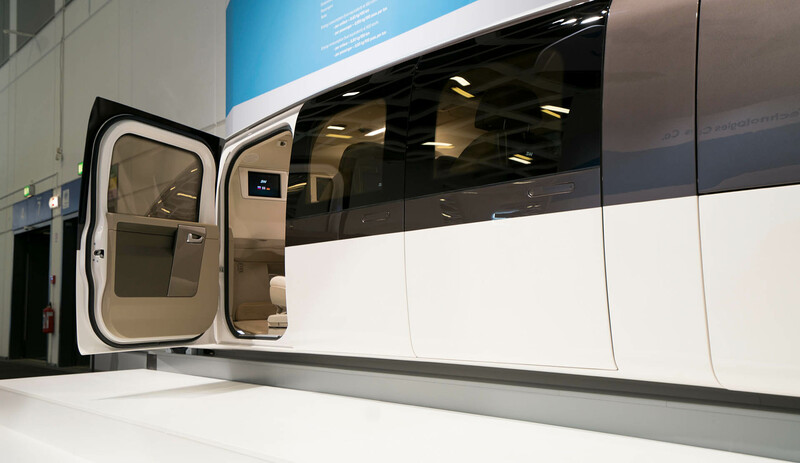 Head of press service for international SkyWay group of companies Mikhail Kirichenko speaks about innovativeness of SkyWay transport system elements, wide functionality of the first anchor support and the construction scale. 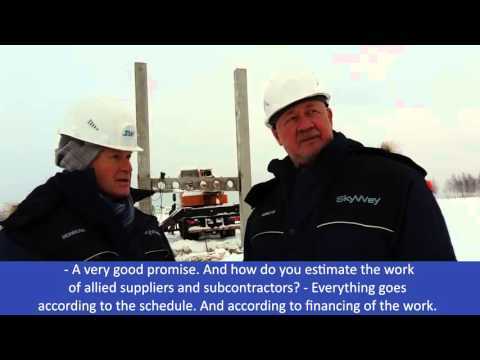 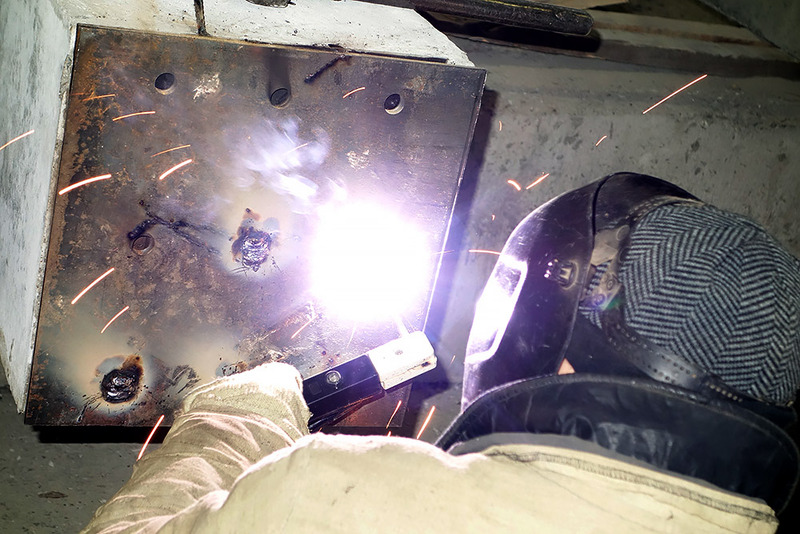 Here is the photo report on the current SkyWay construction stage. 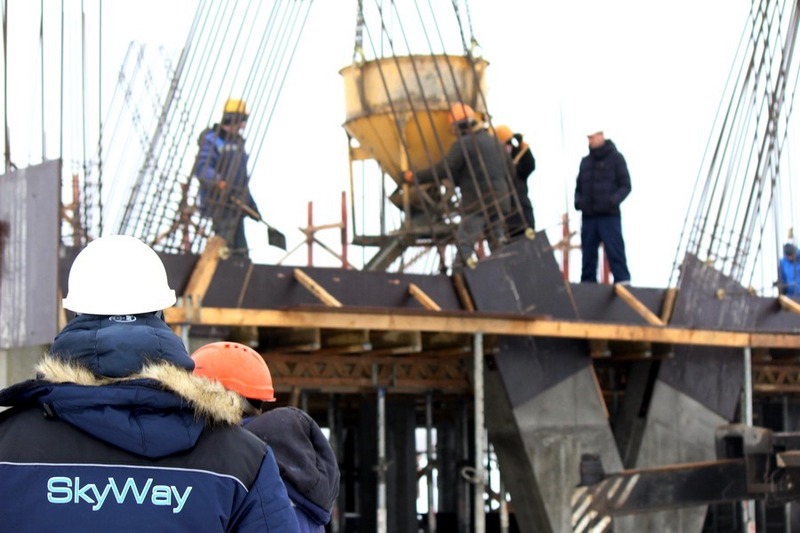 At present, pylon reinforcement binding for the first SkyWay anchor support is taking place. 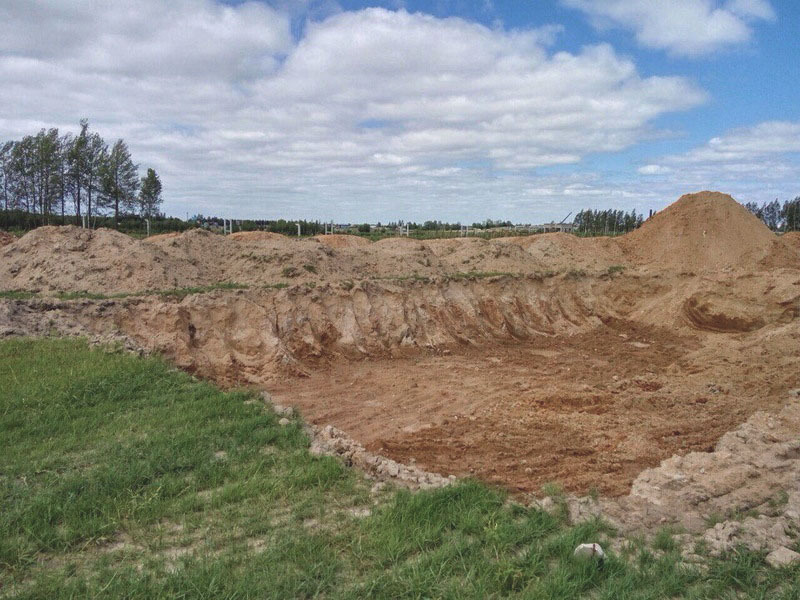 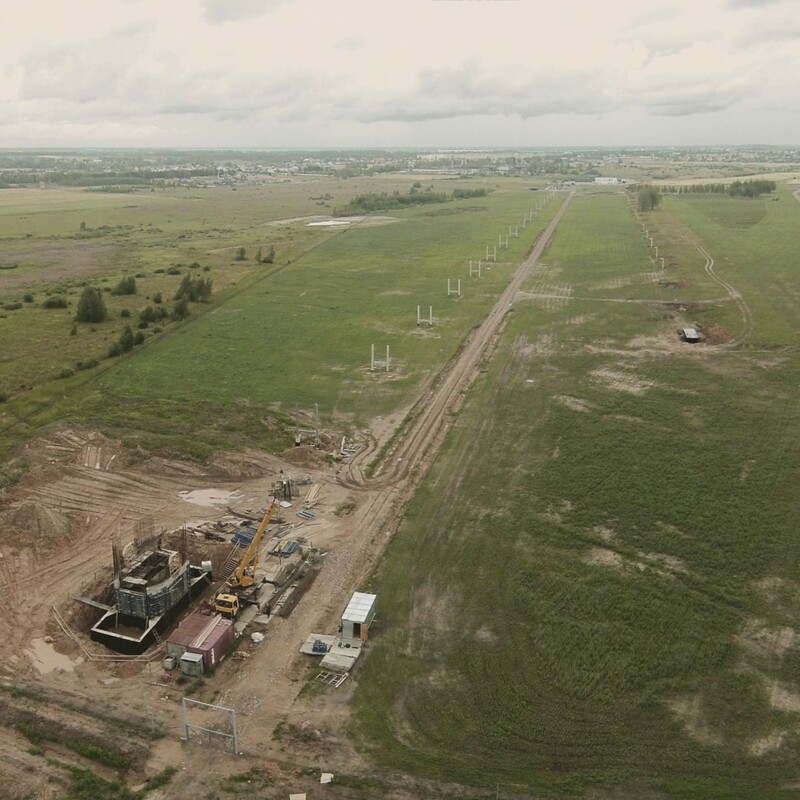 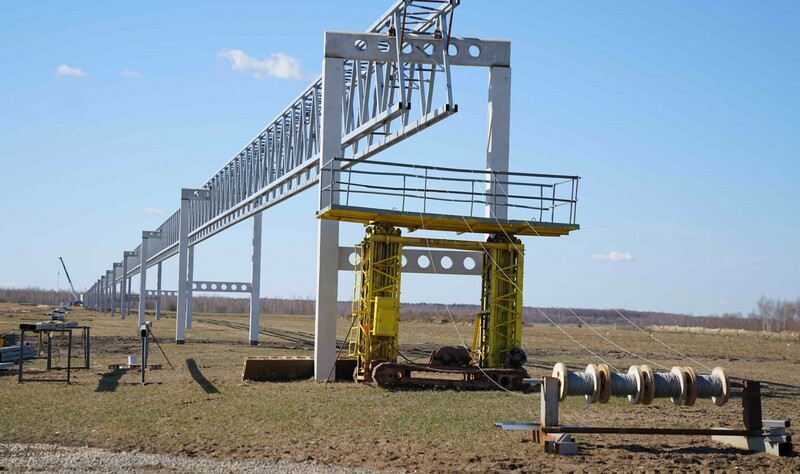 Beginning from October 16, the territory of the future demonstration plot has been the site of preparatory work on foundation assembling for three intermediate supports of SkyWay high-speed complex. 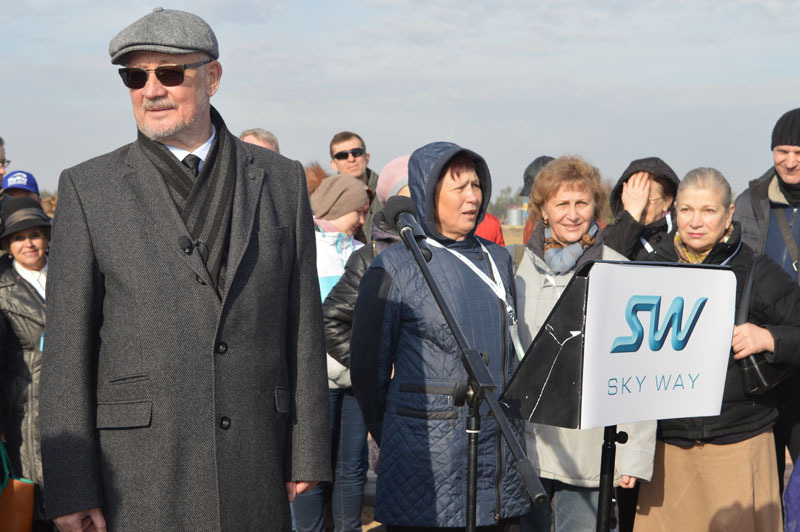 Press release: Grand opening of the sign of SkyWay "Zero kilometer"
Solemn opening of "Zero kilometer" took place on October 17, 2015 on the territory of SkyWay EcoTechnoPark near the town of Maryina Gorka (Minsk region, Belarus). 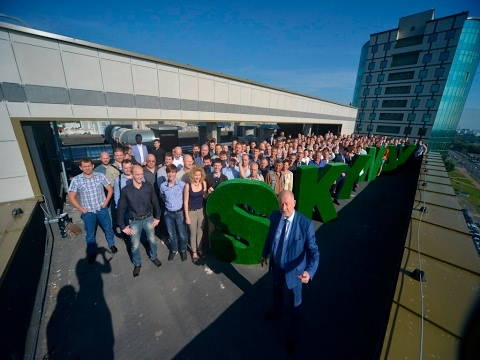 On October 3, the campaign "Plant a tree" was successfully launched. 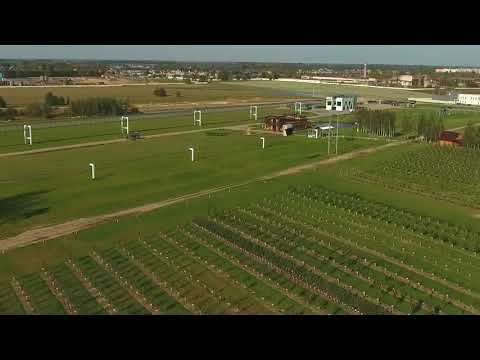 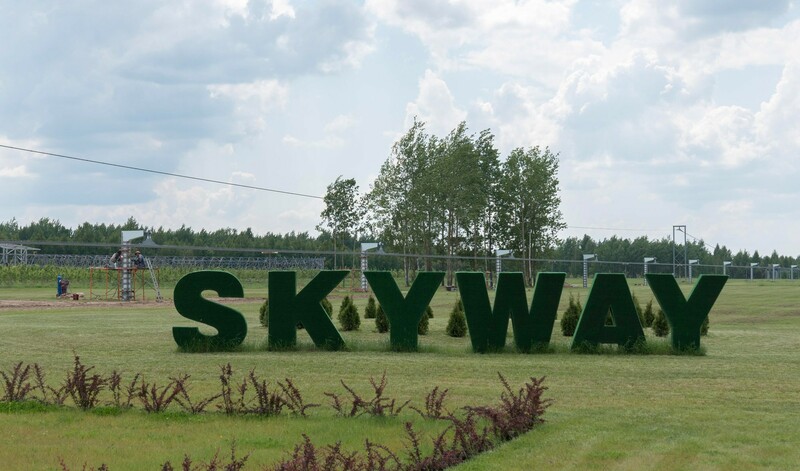 Its main goal is planting of greenery and landscaping of SkyWay demonstration center. 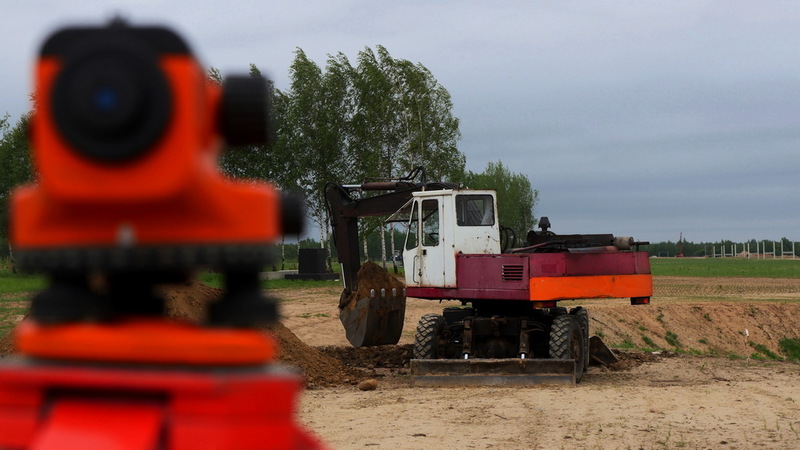 Construction works do not stop even at weekends. 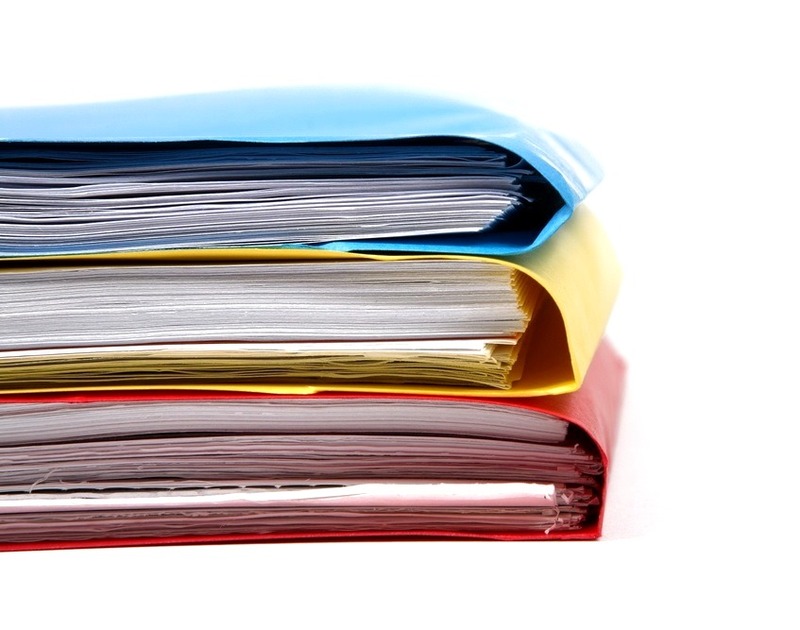 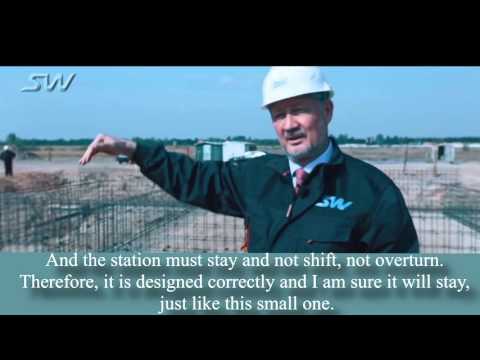 General Director – General Designer personally controls this process. 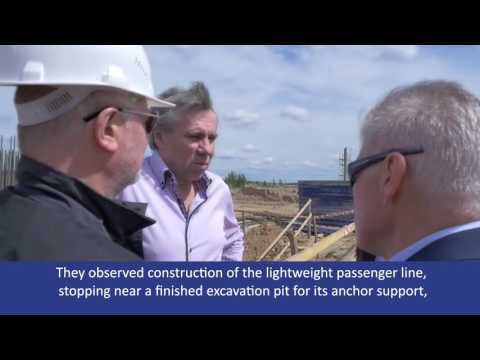 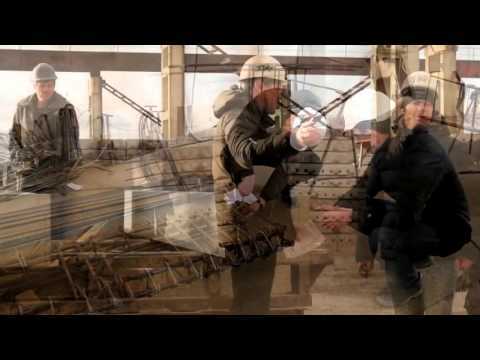 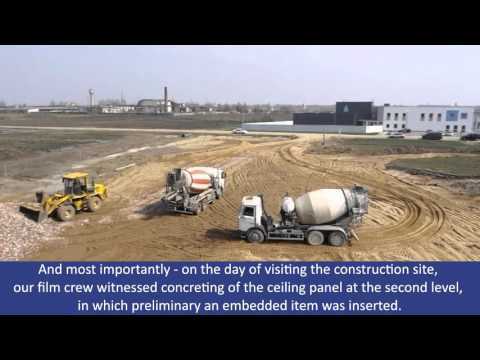 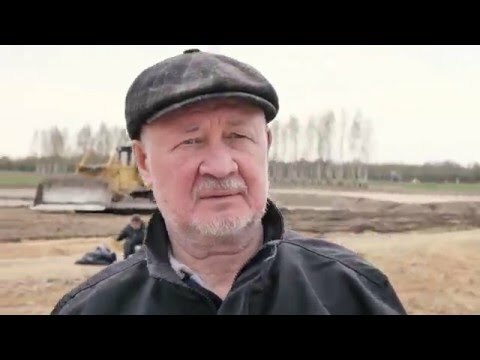 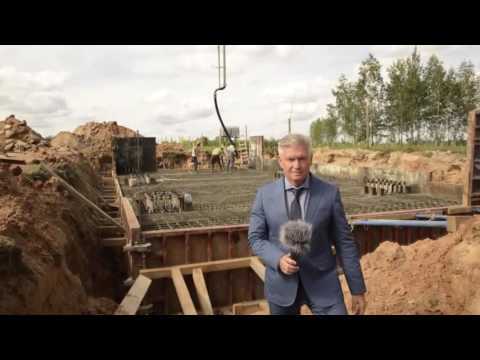 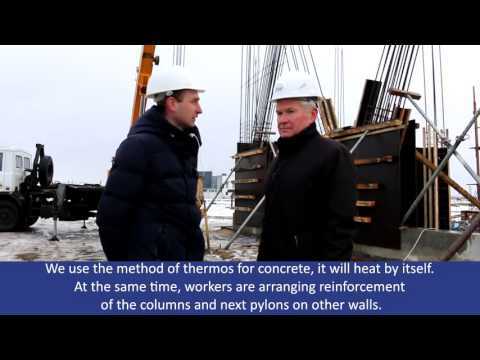 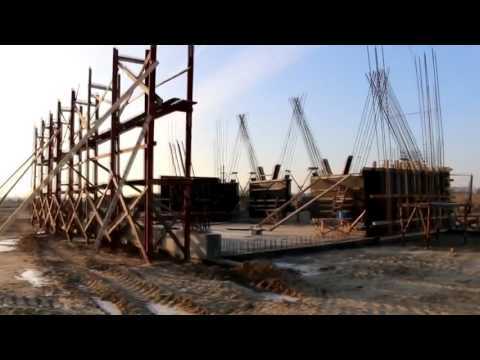 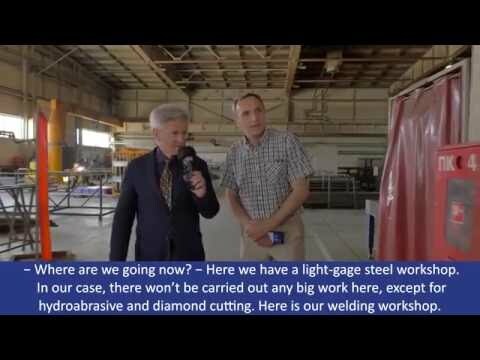 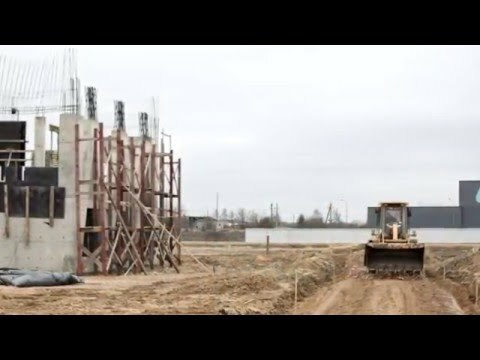 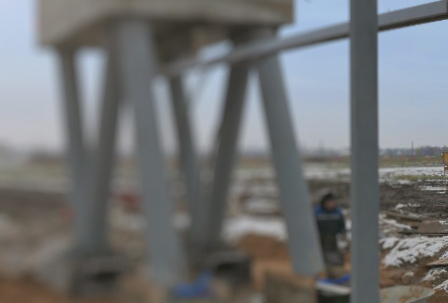 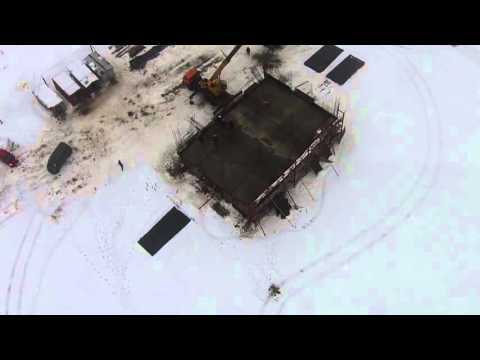 In a special video report, Doctor Anatoly Yunitskiy has told about what is going on at the construction site at present. 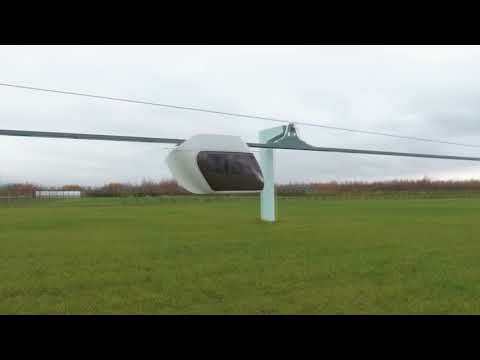 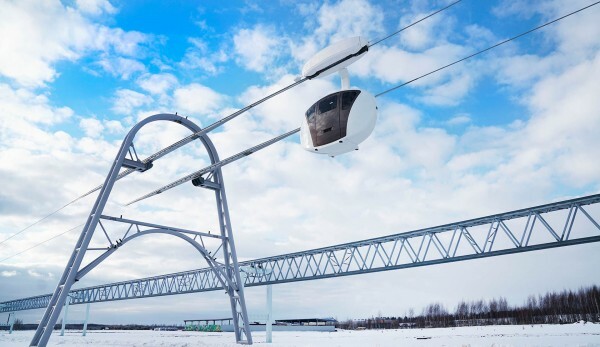 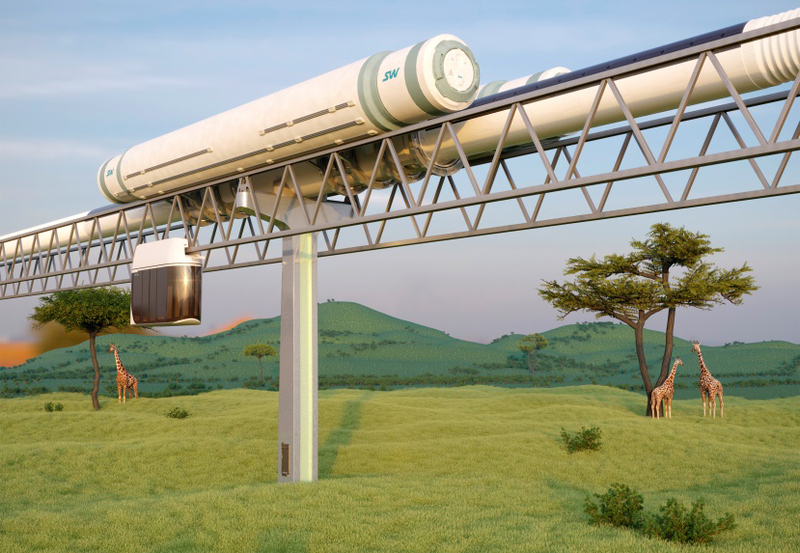 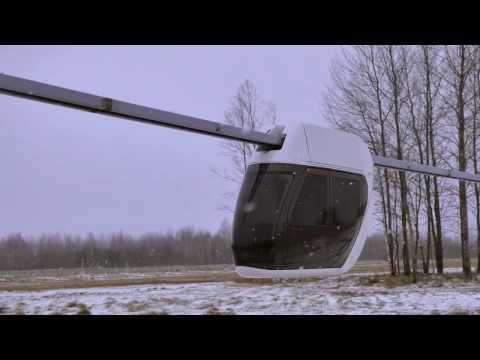 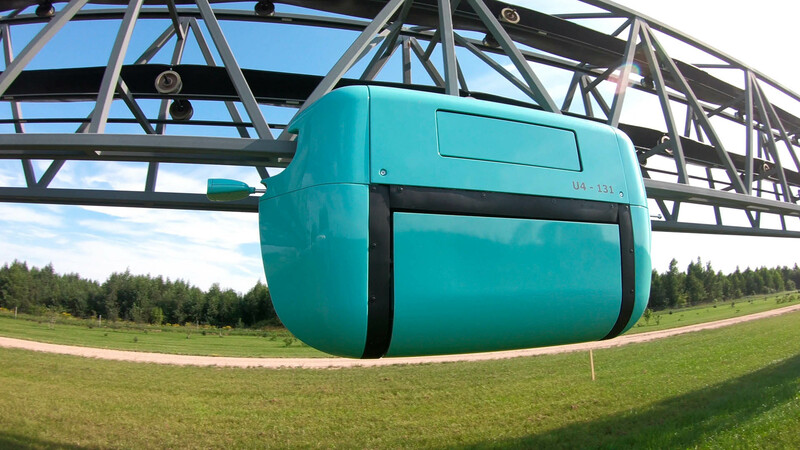 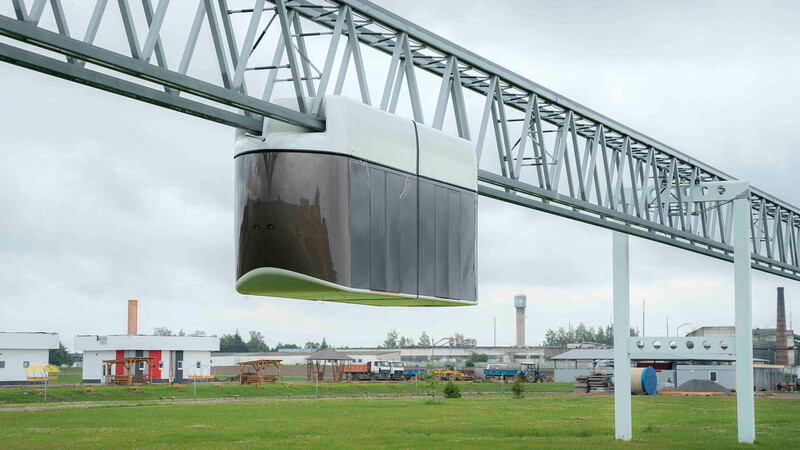 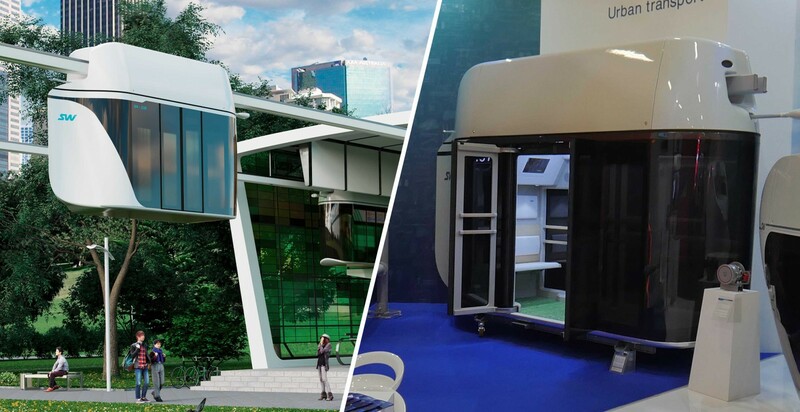 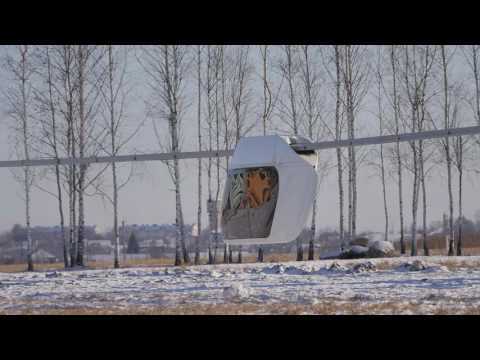 On EcoTechnoPark territory, there were carried out successful tests of urban suspended transport system SkyWay using the functioning physical model. 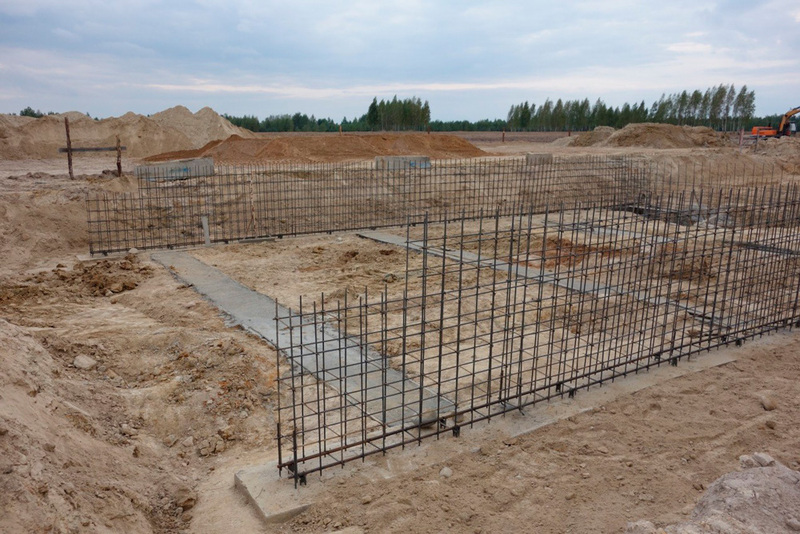 The photos show the process of reinforcing the foundation of the anchor support. 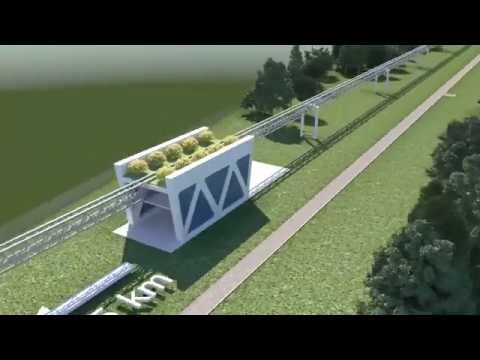 Right from here the SkyWay high-speed track will take its start. 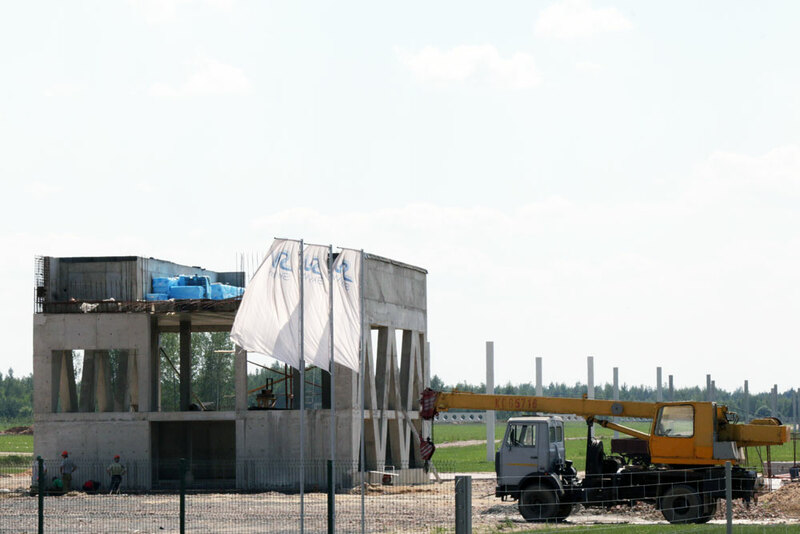 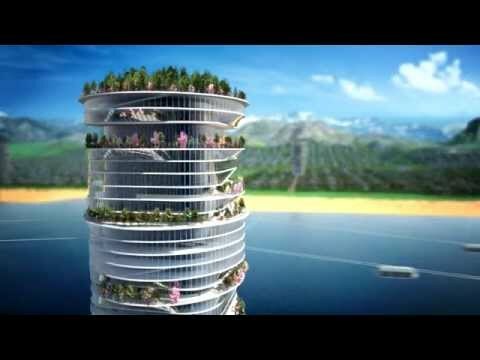 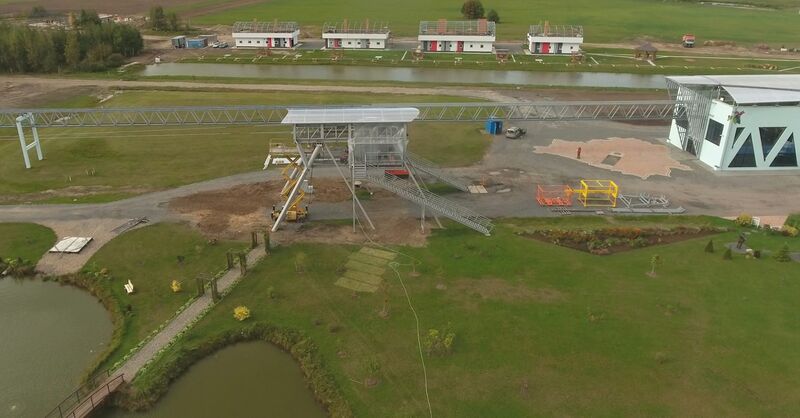 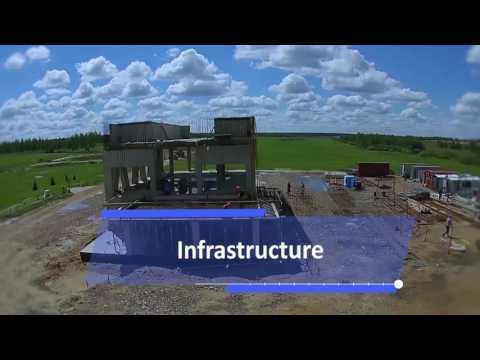 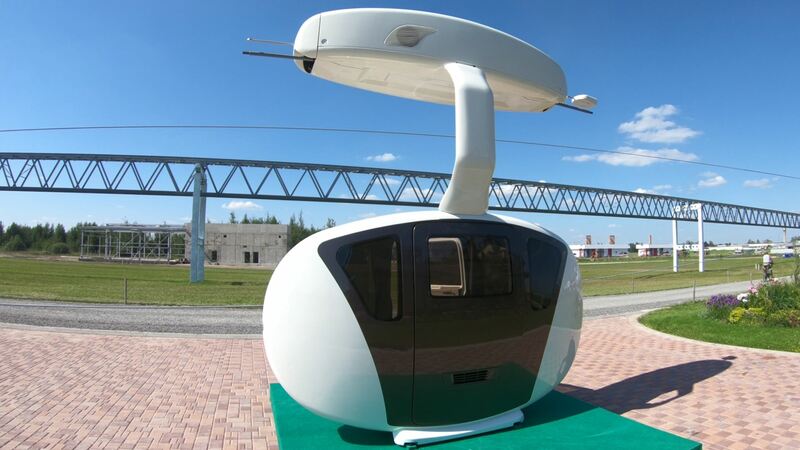 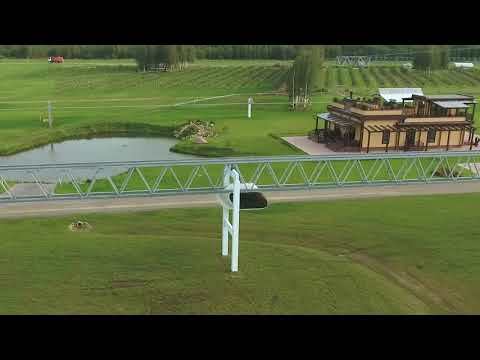 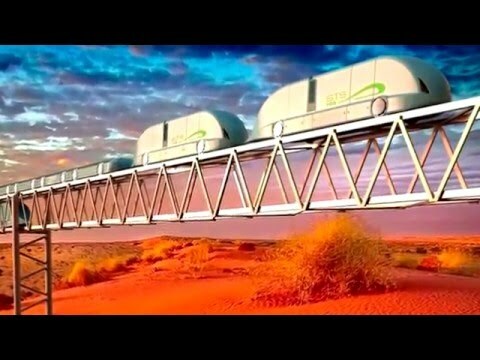 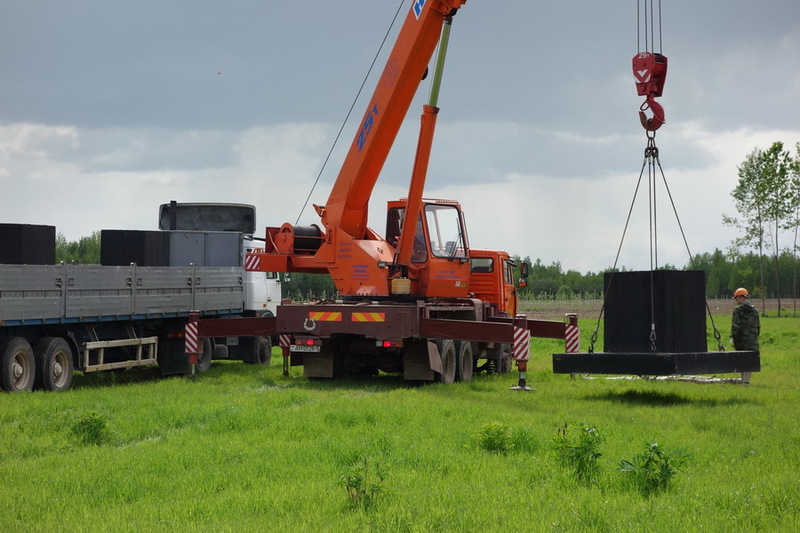 The practical implementation of SkyWay transport systems is under way on-site EcoTechnoPark - the operating center for innovative developments, demonstration, testing, production, certification and subsequent improvement of SkyWay technology, creation of new generations of transport infrastructure complexes, as well as the development of agroecotechnologies and “Eco-house” technologies.